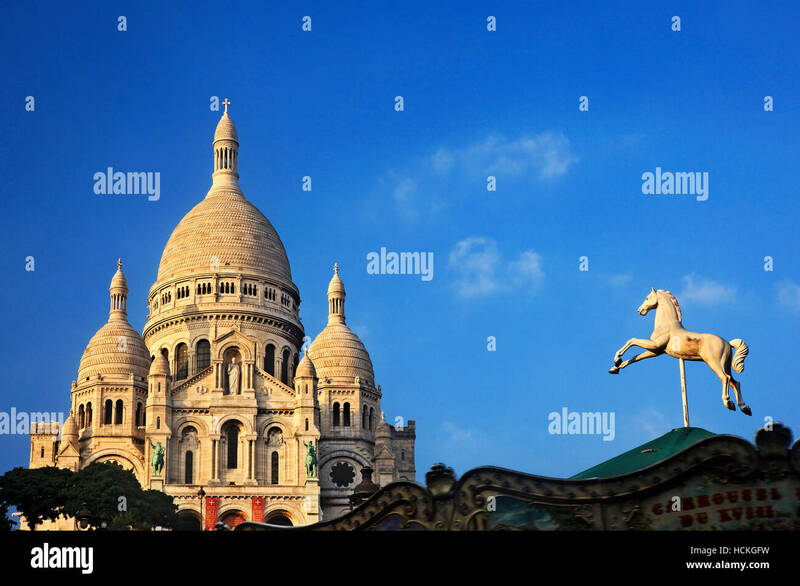 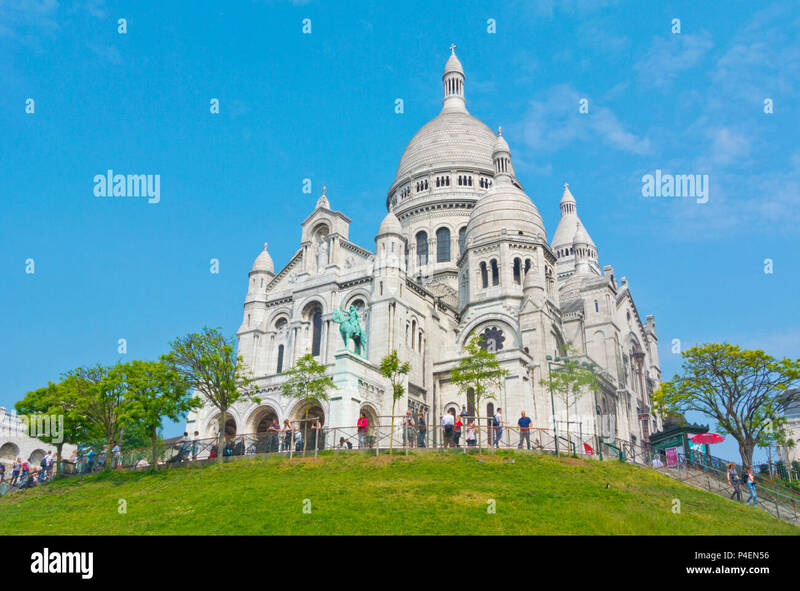 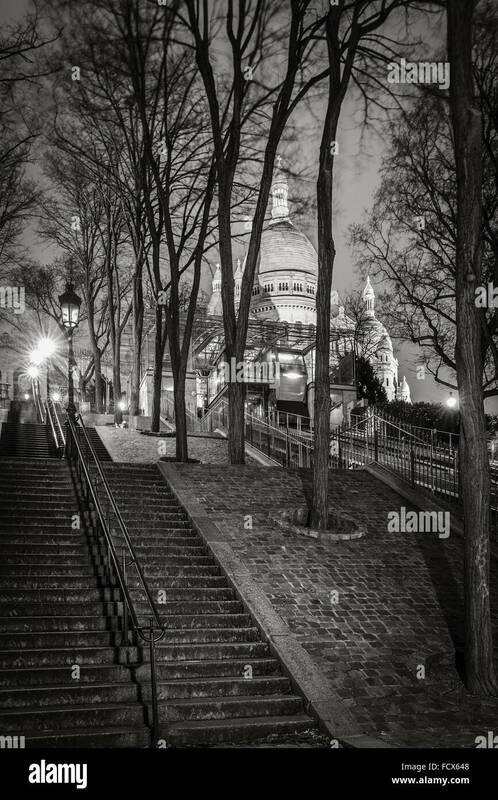 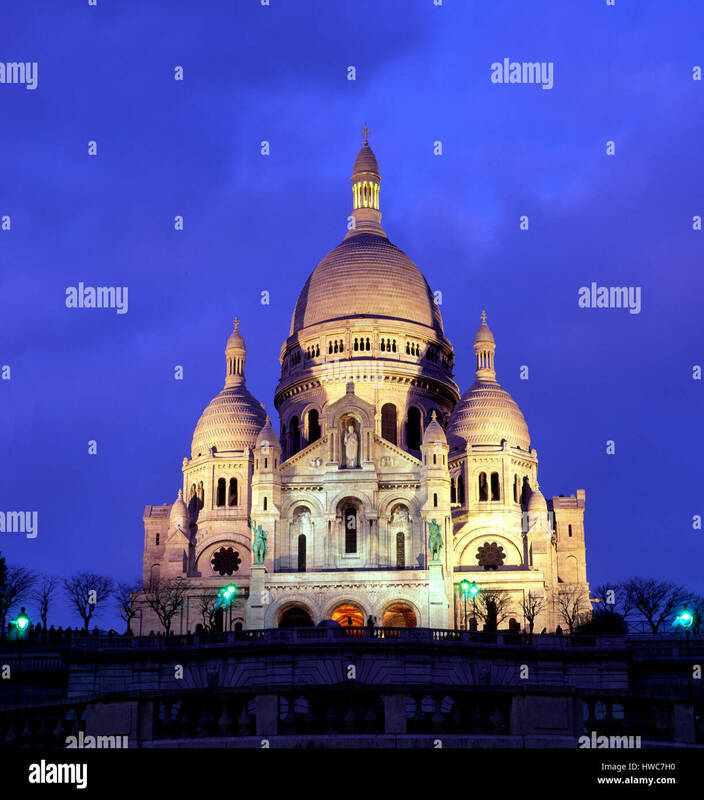 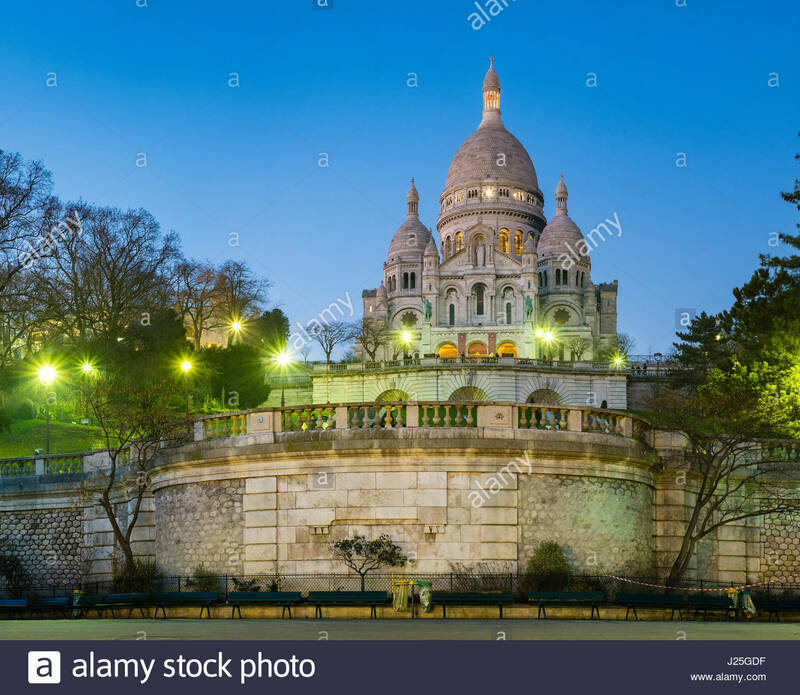 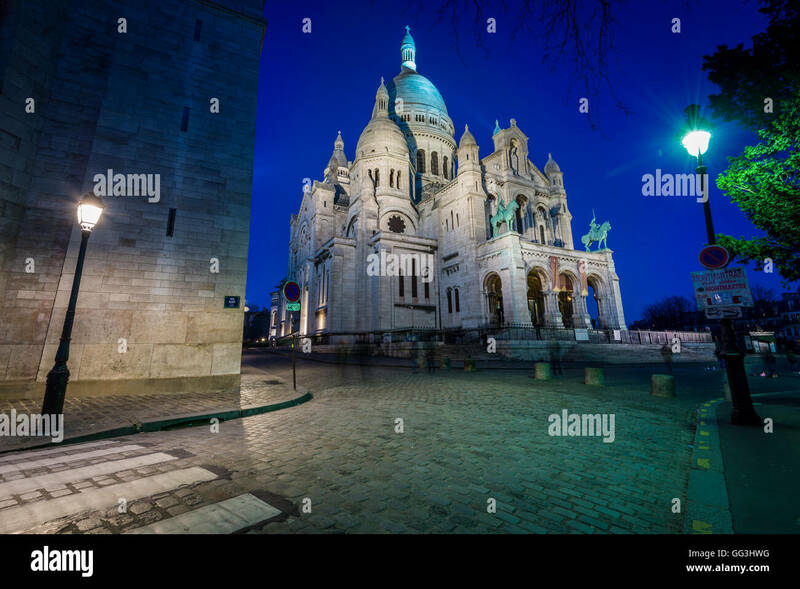 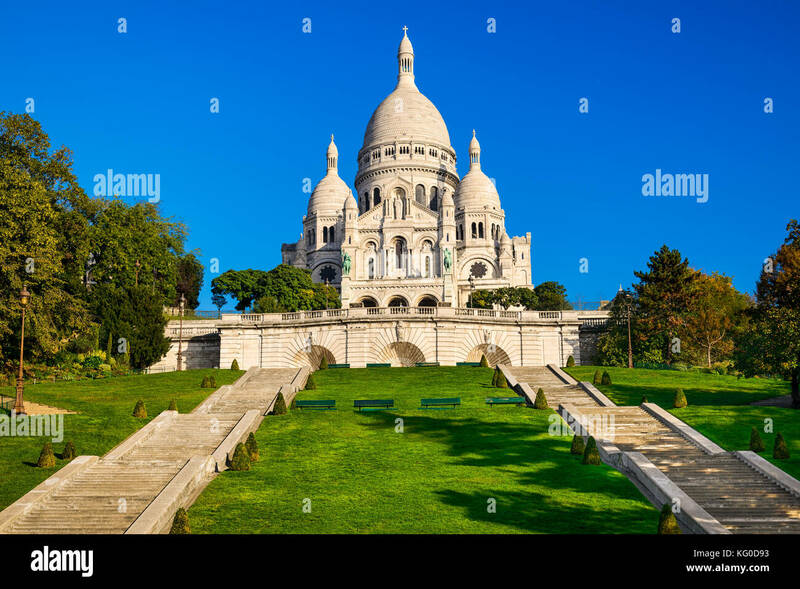 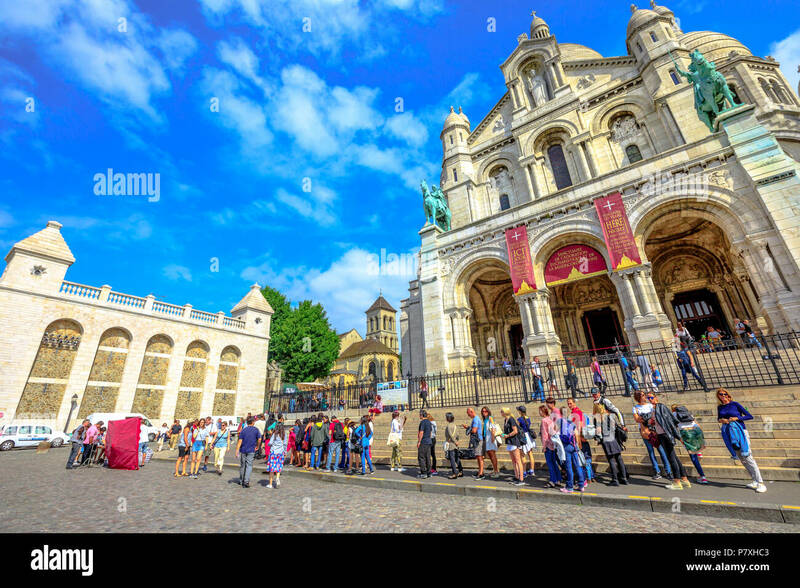 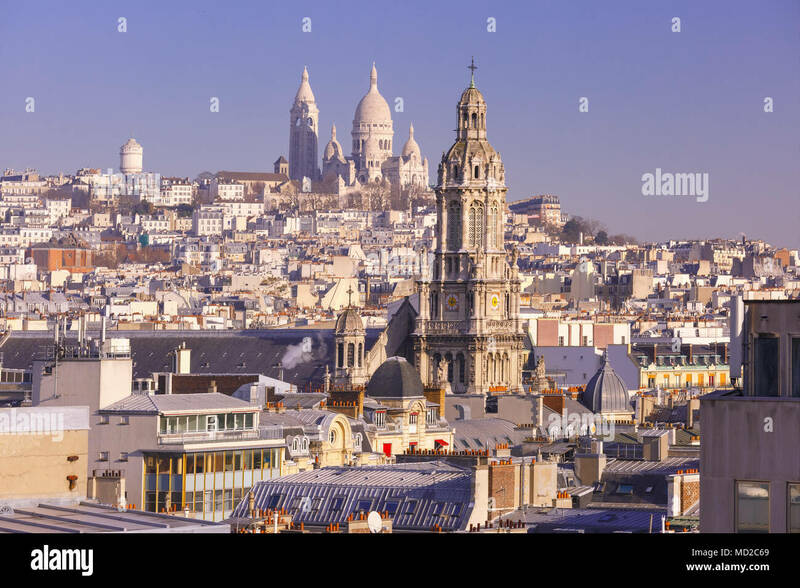 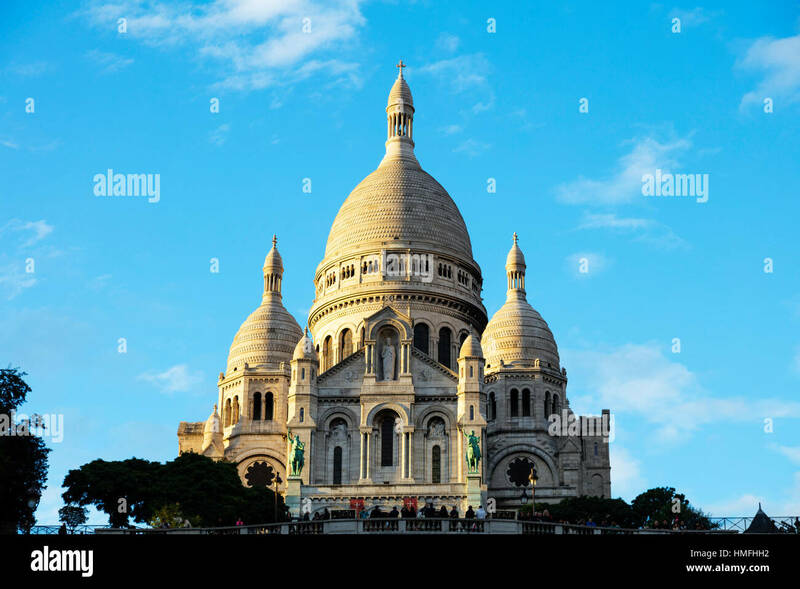 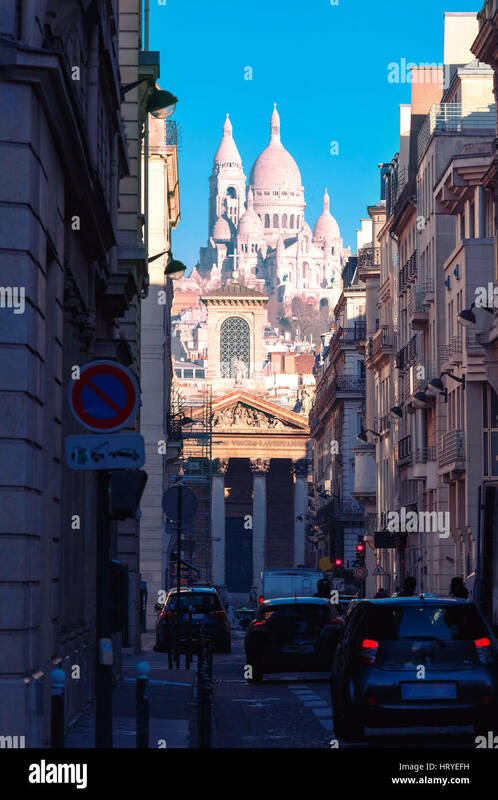 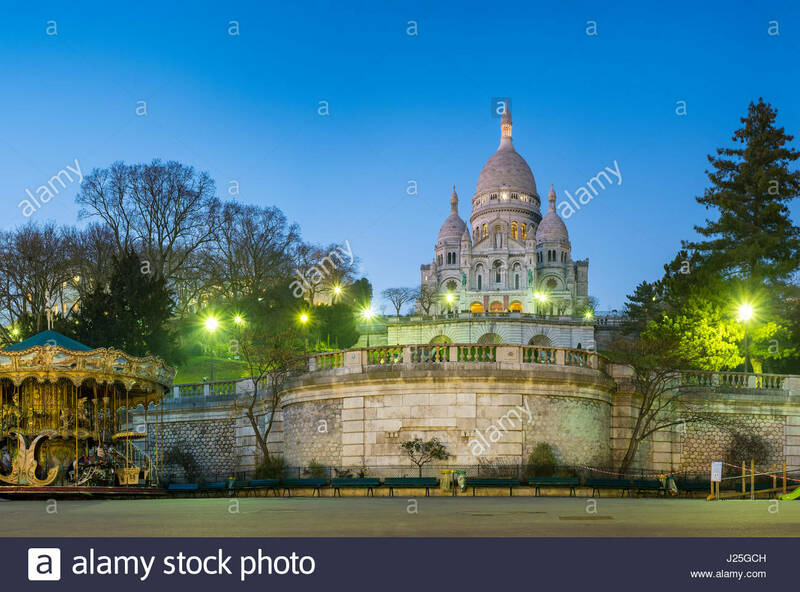 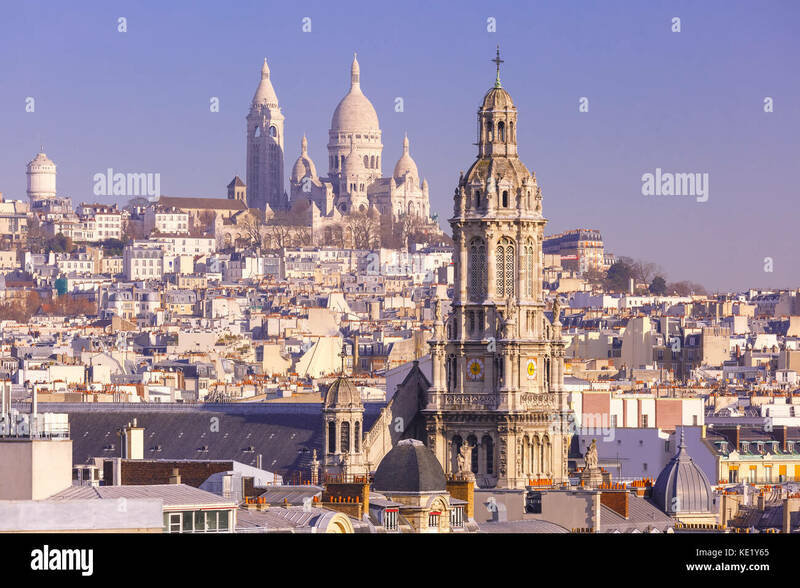 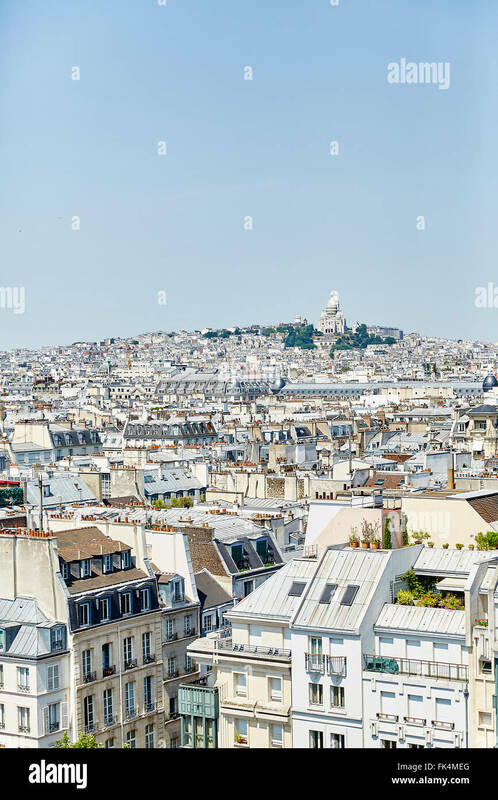 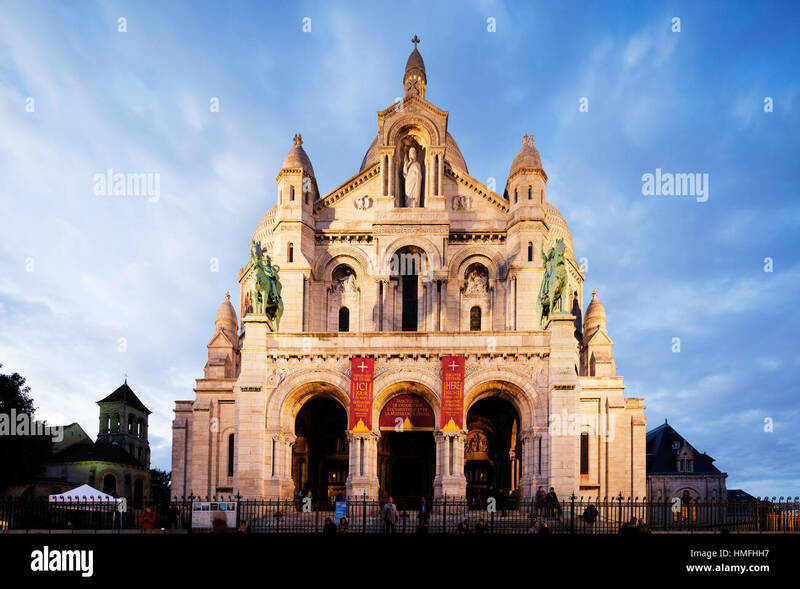 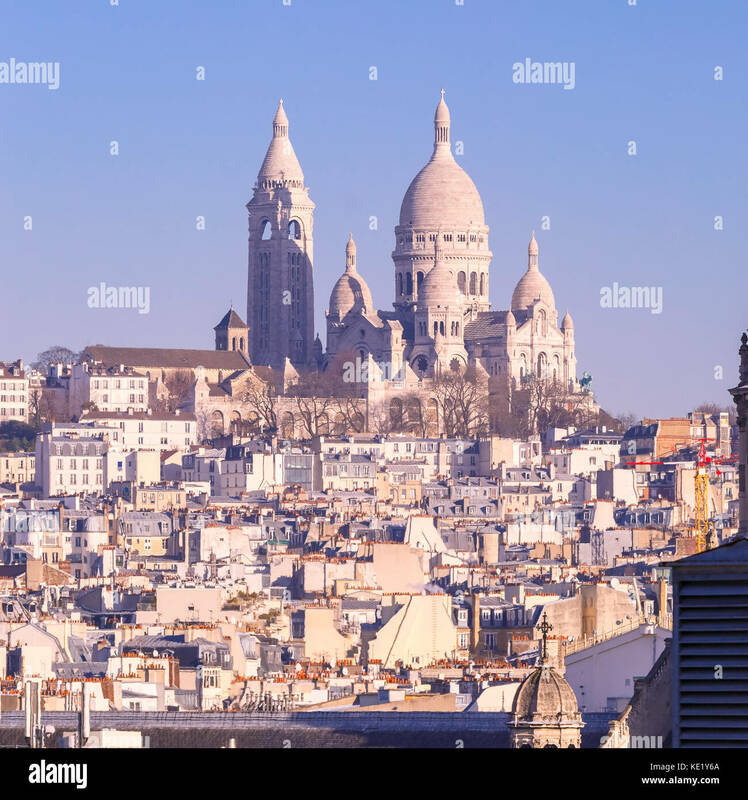 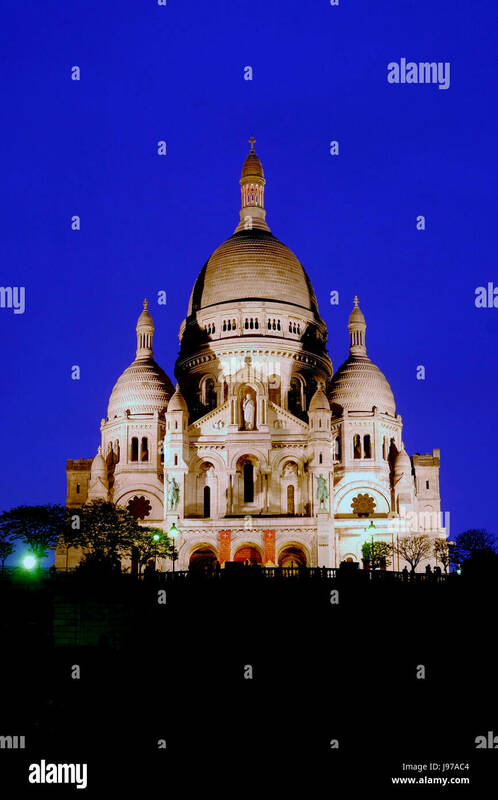 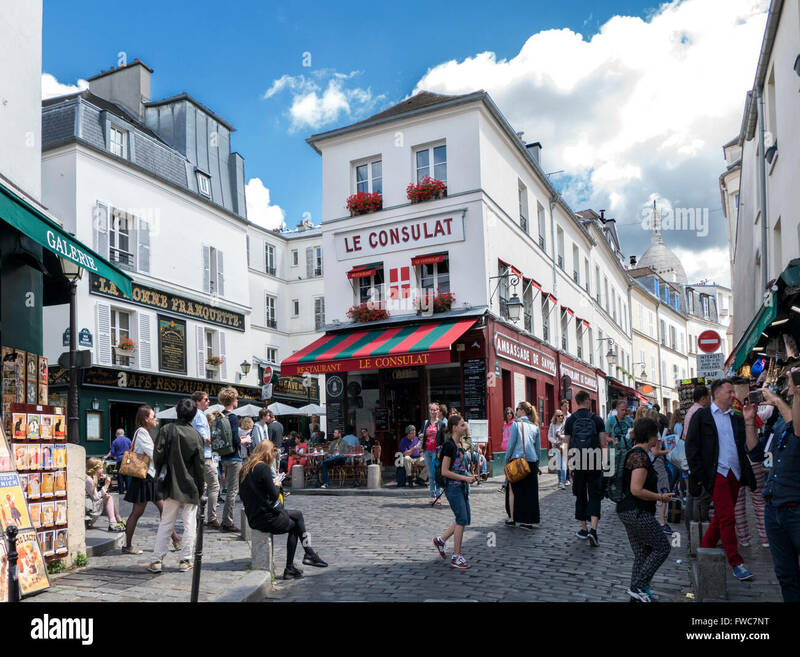 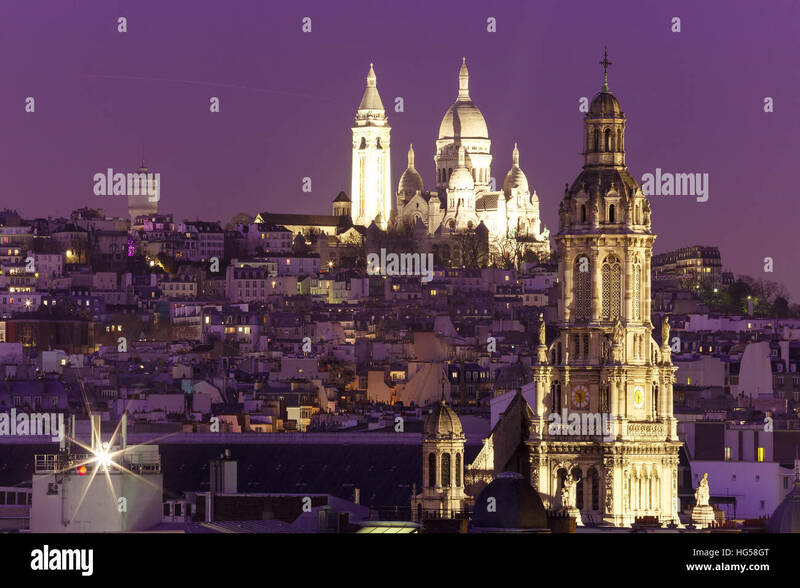 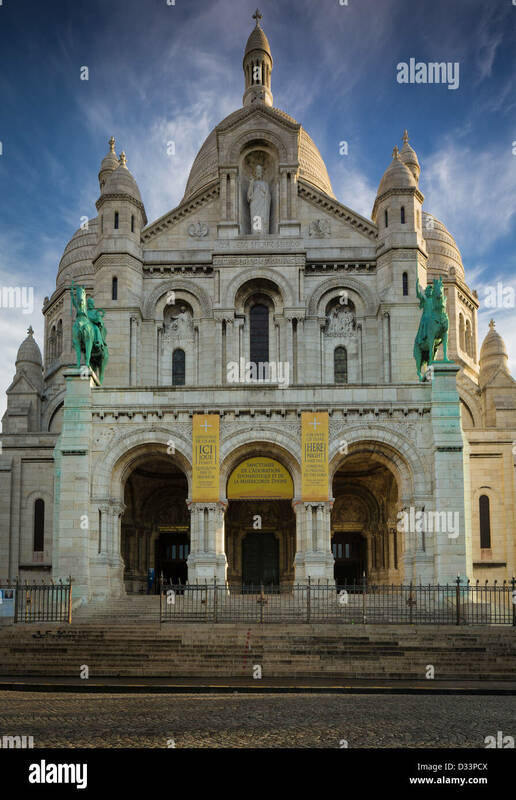 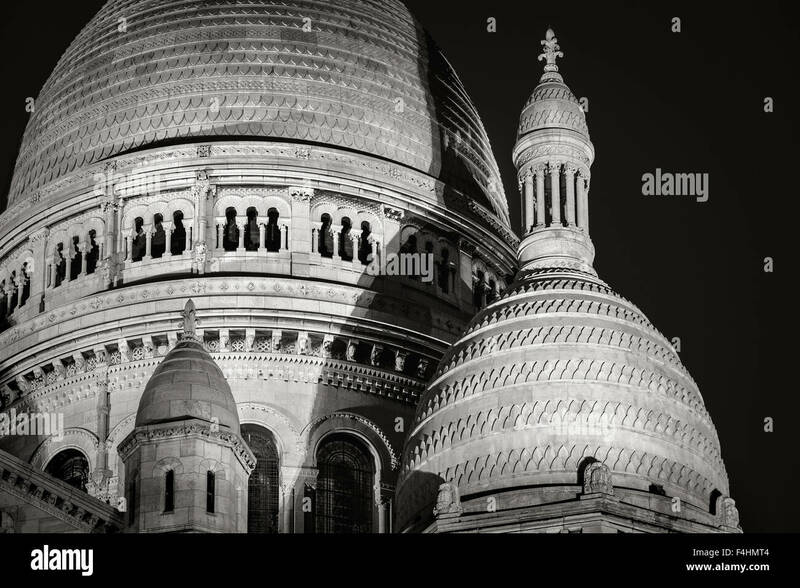 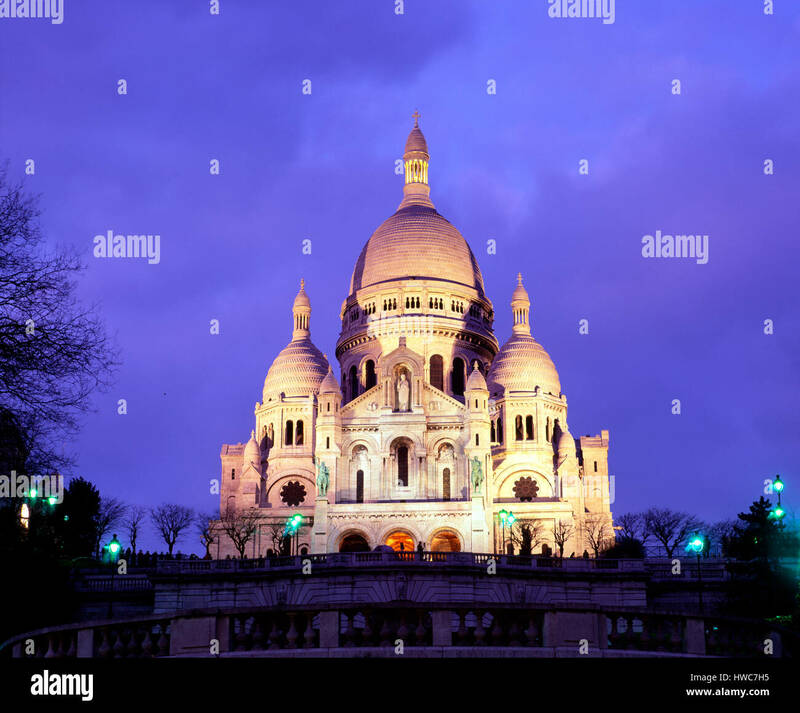 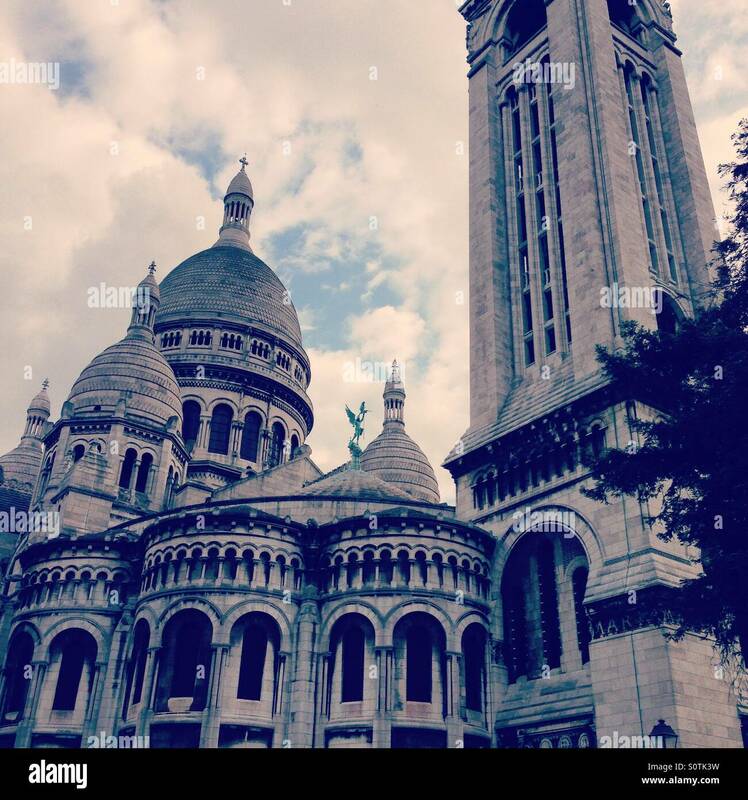 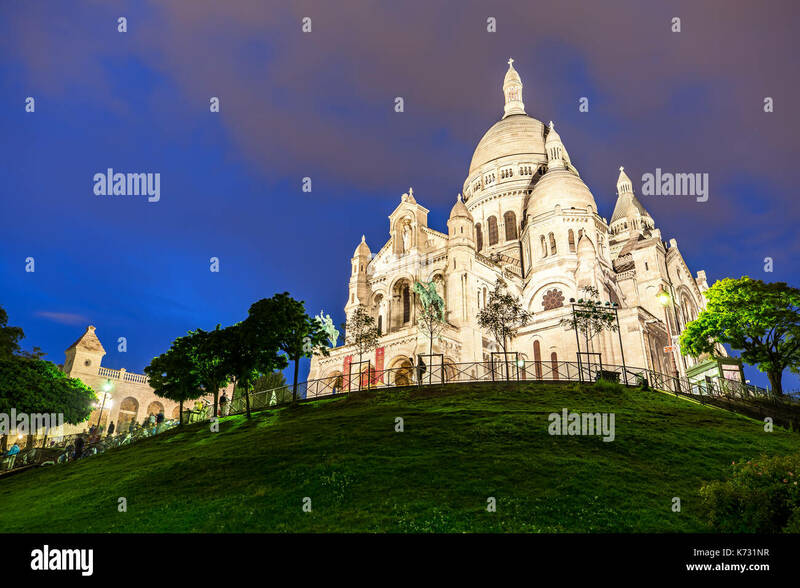 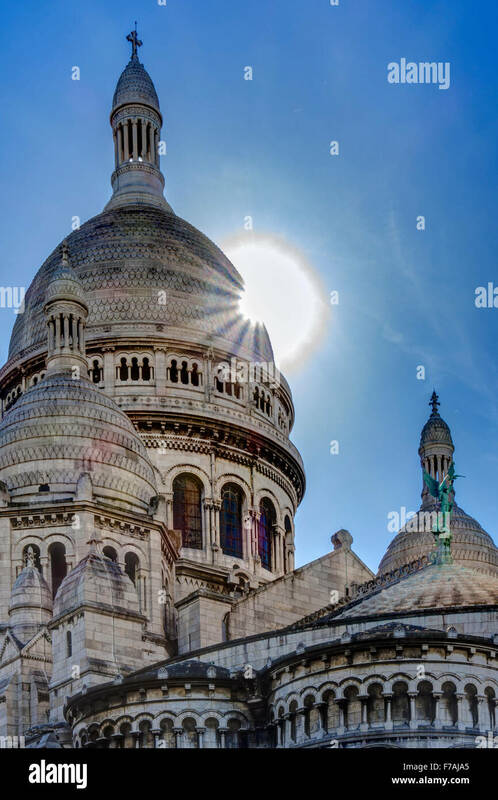 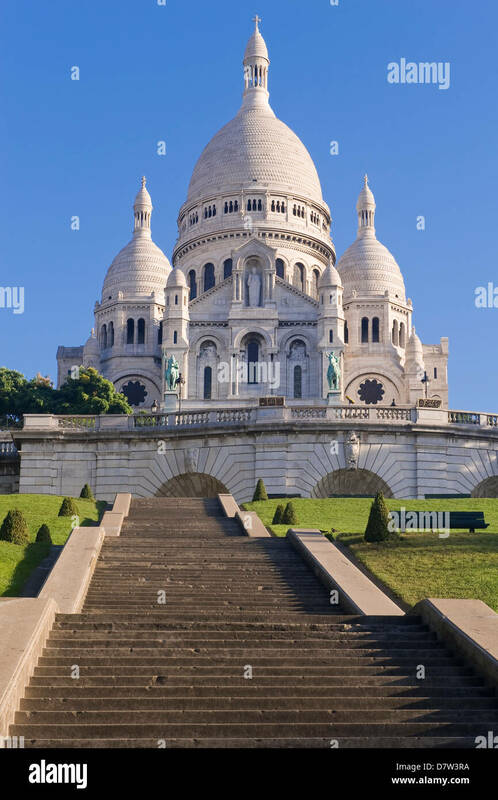 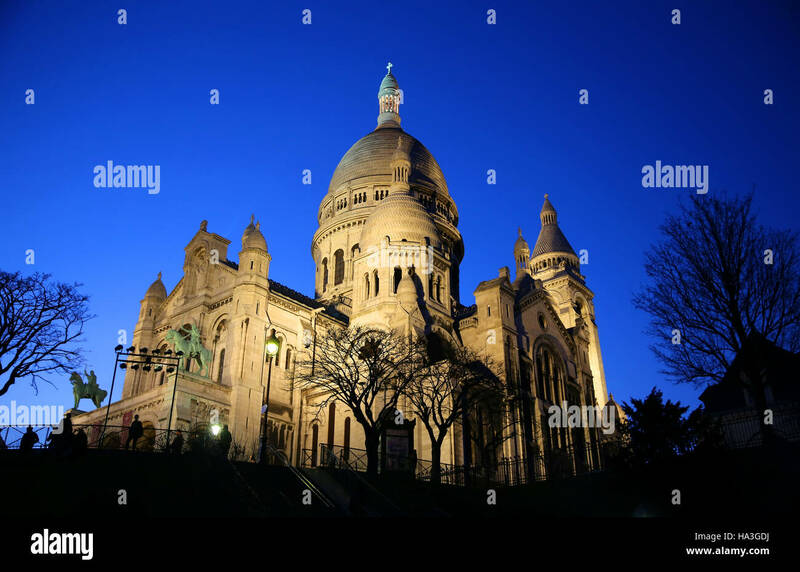 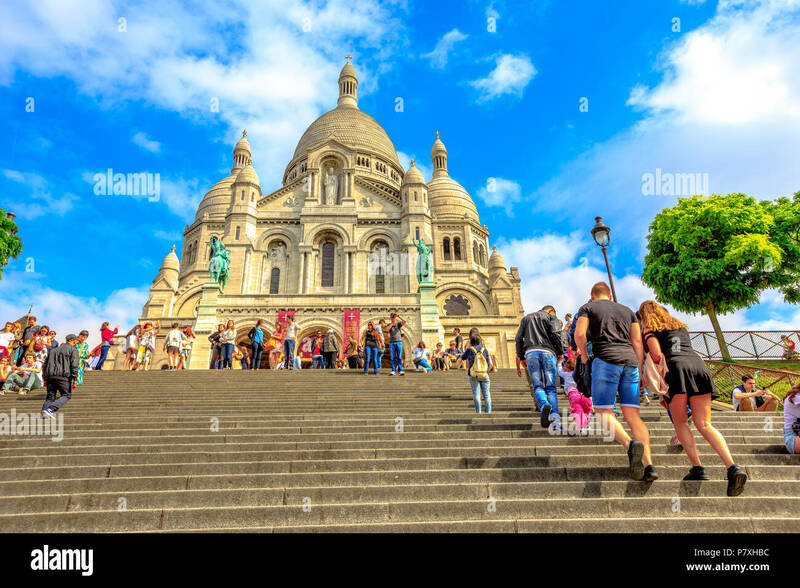 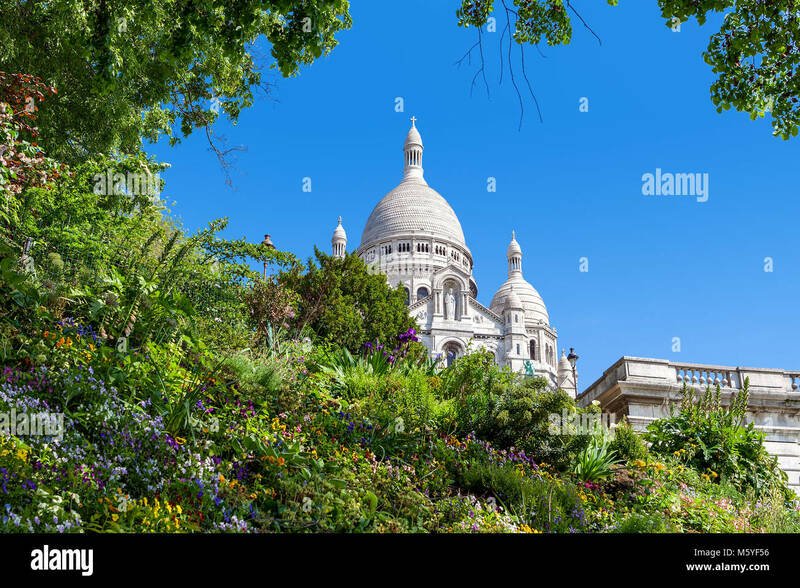 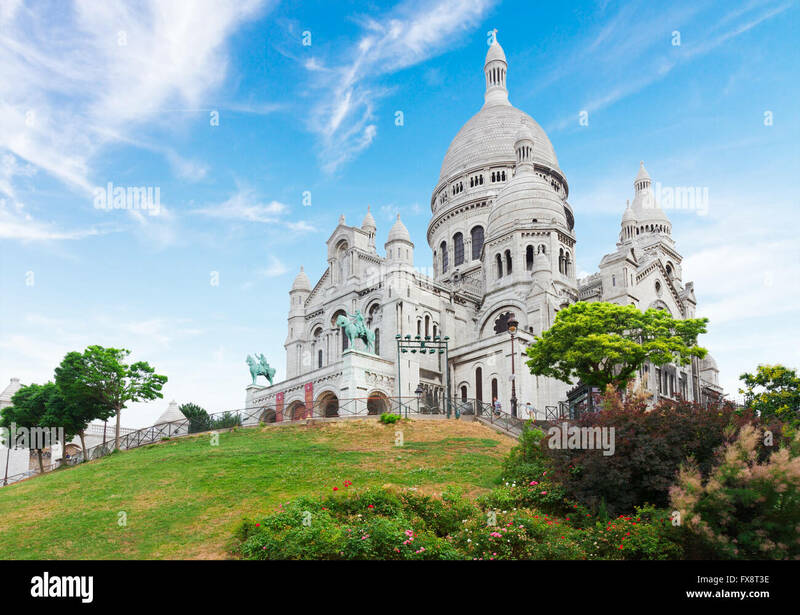 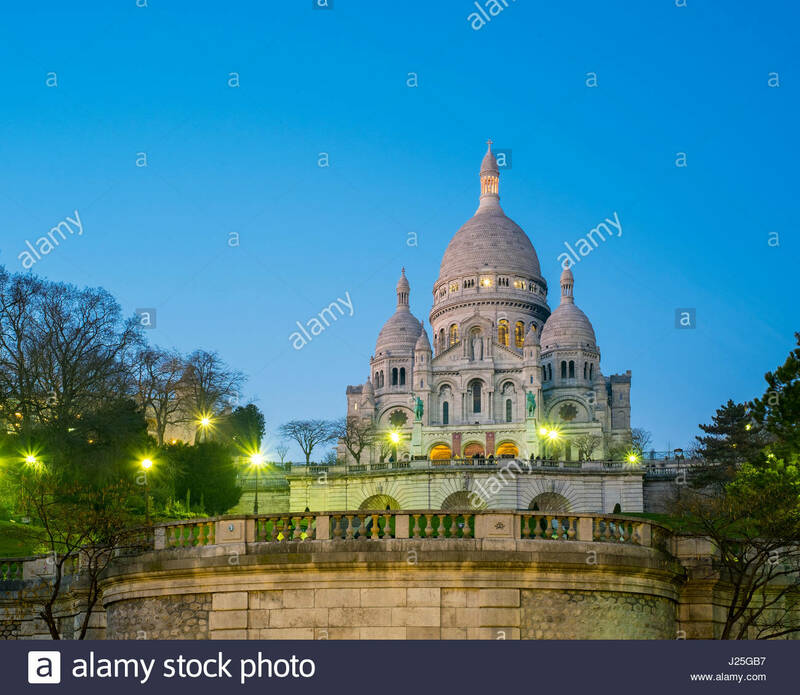 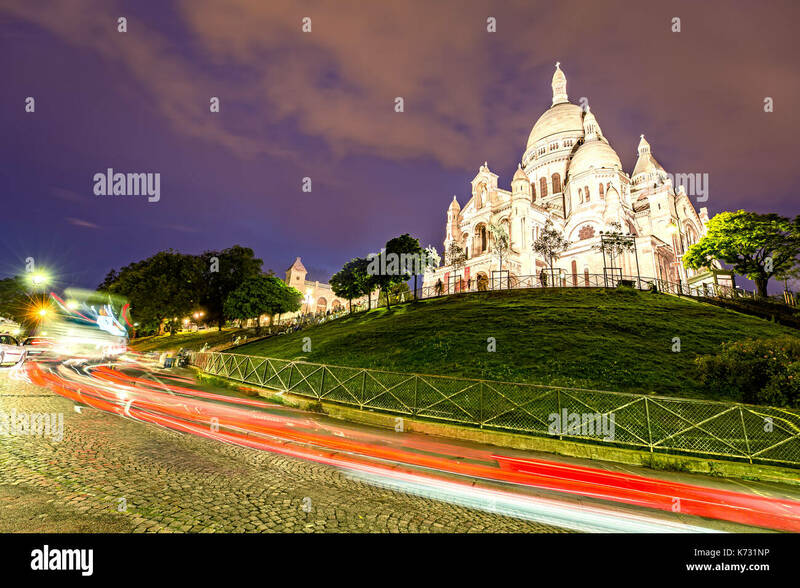 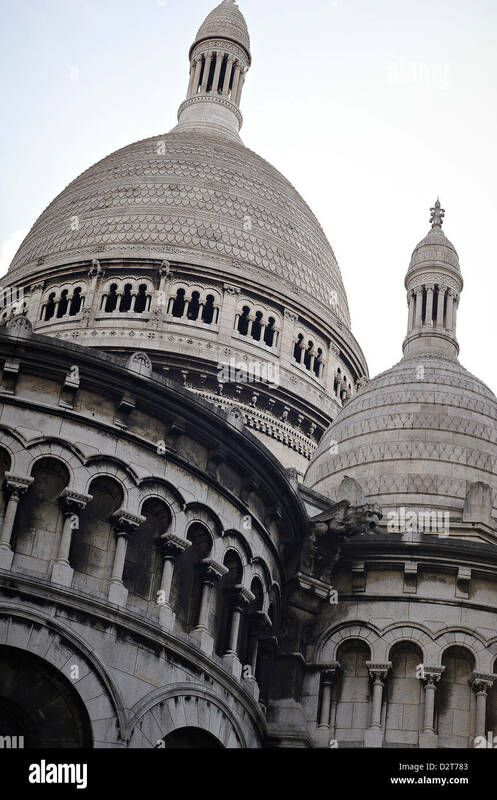 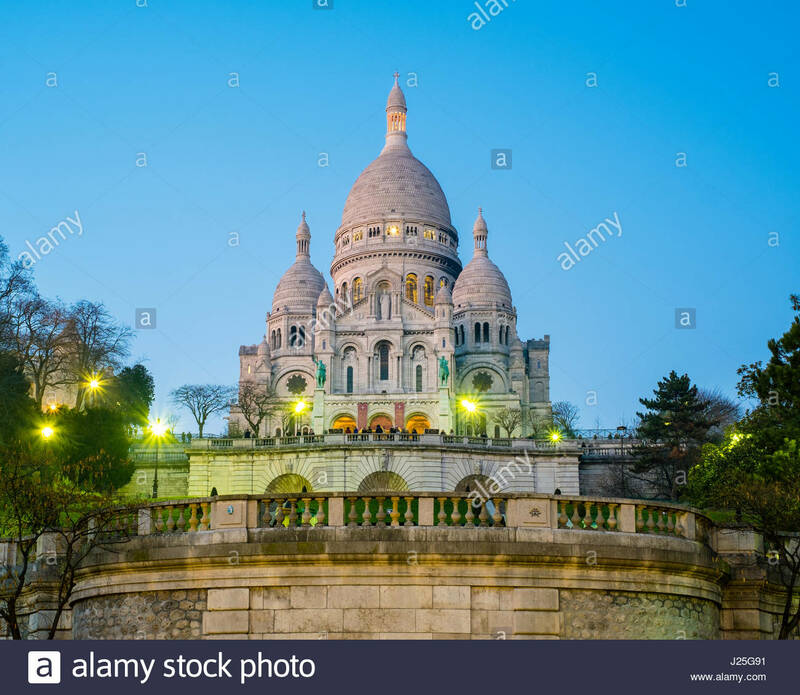 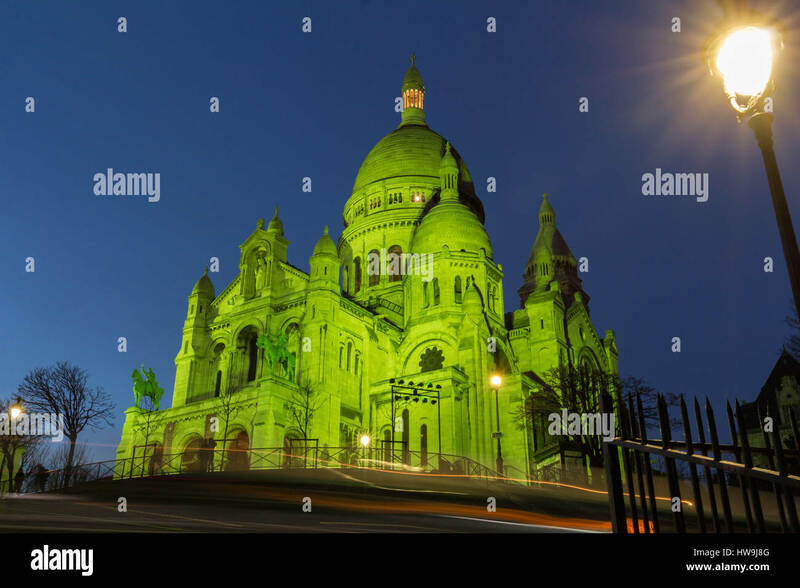 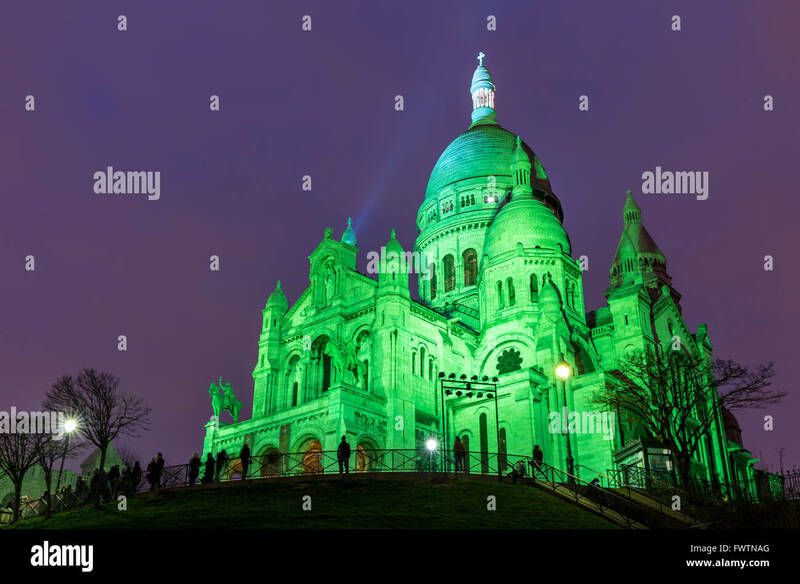 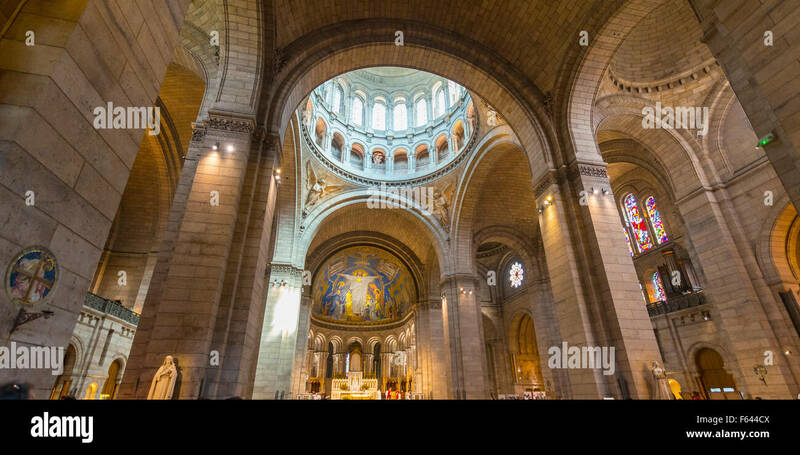 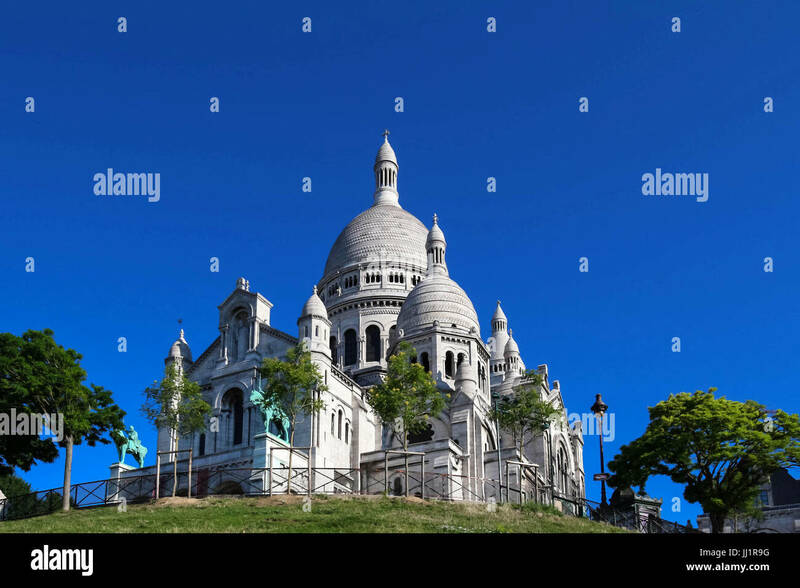 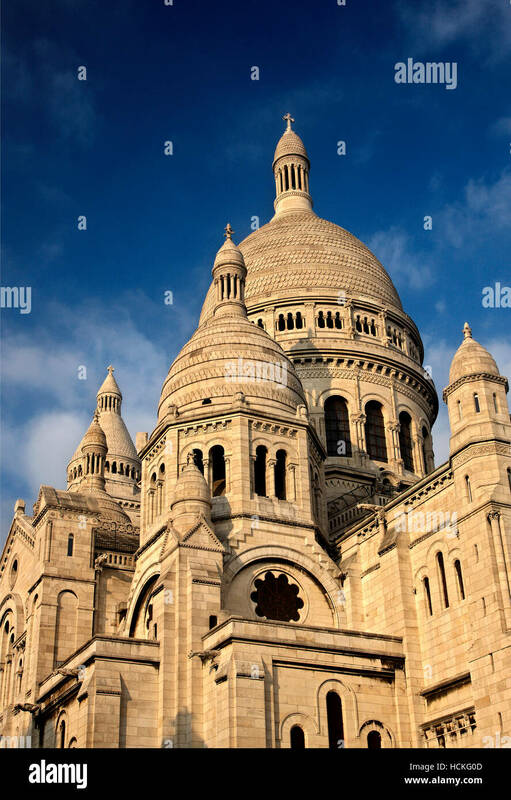 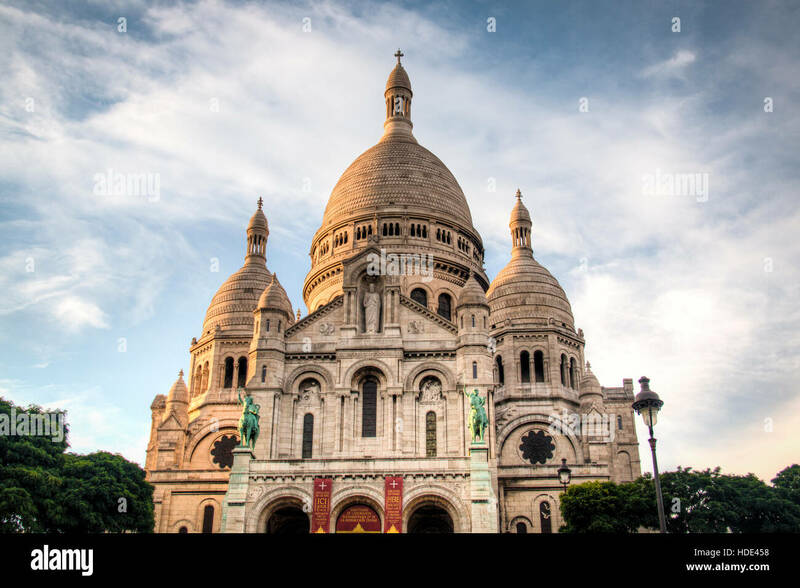 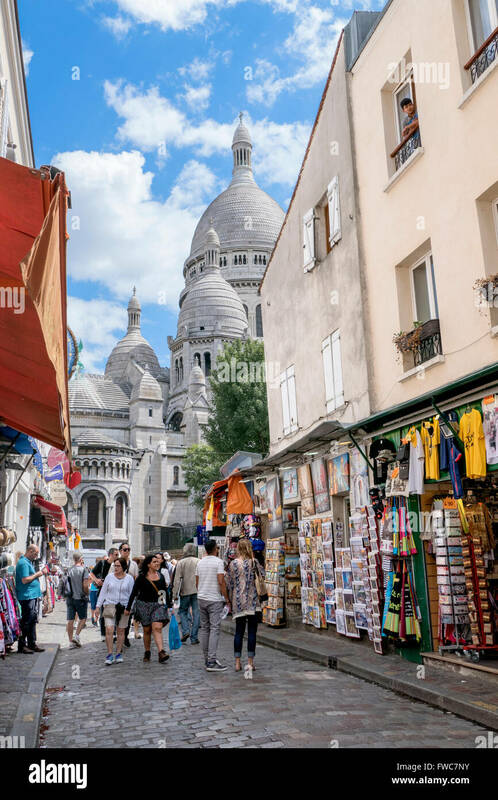 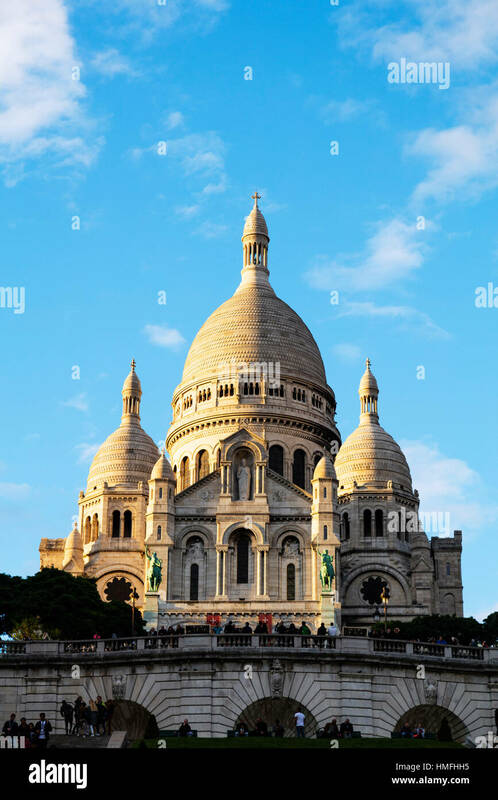 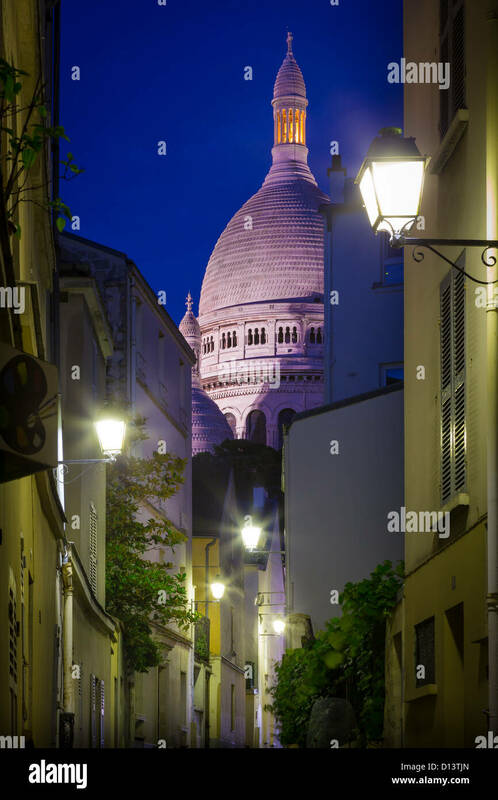 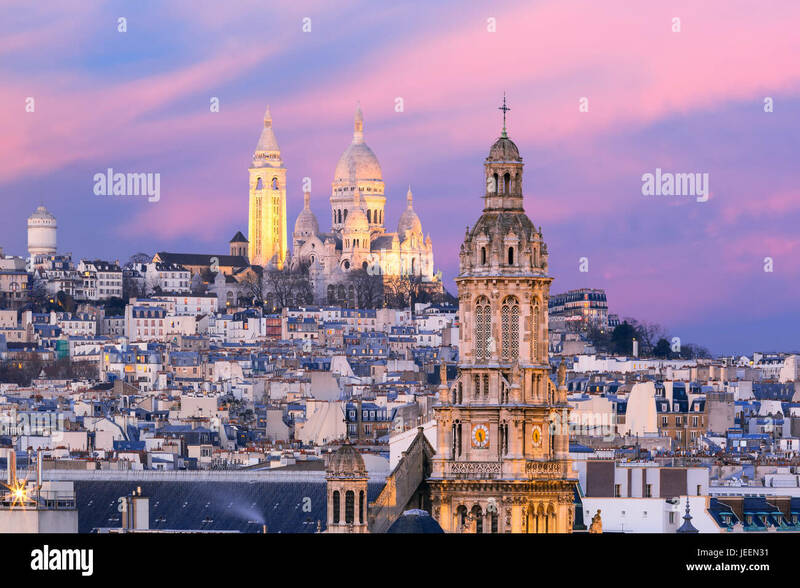 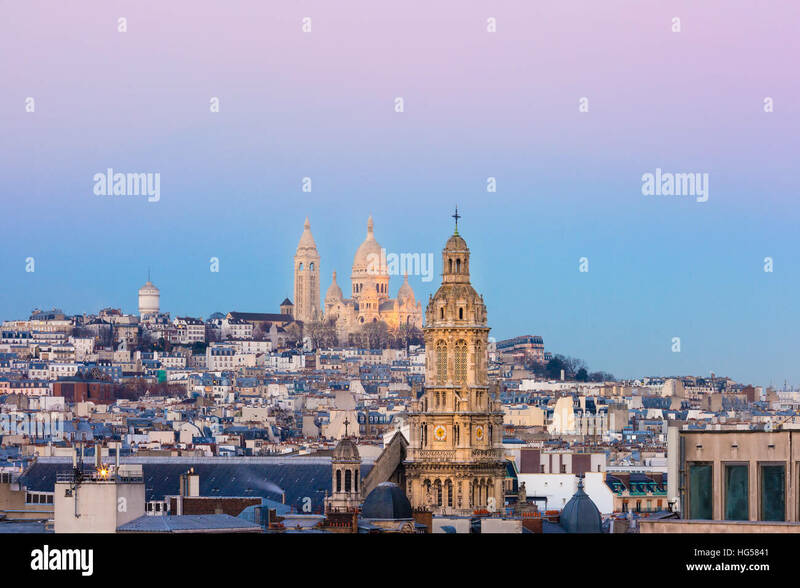 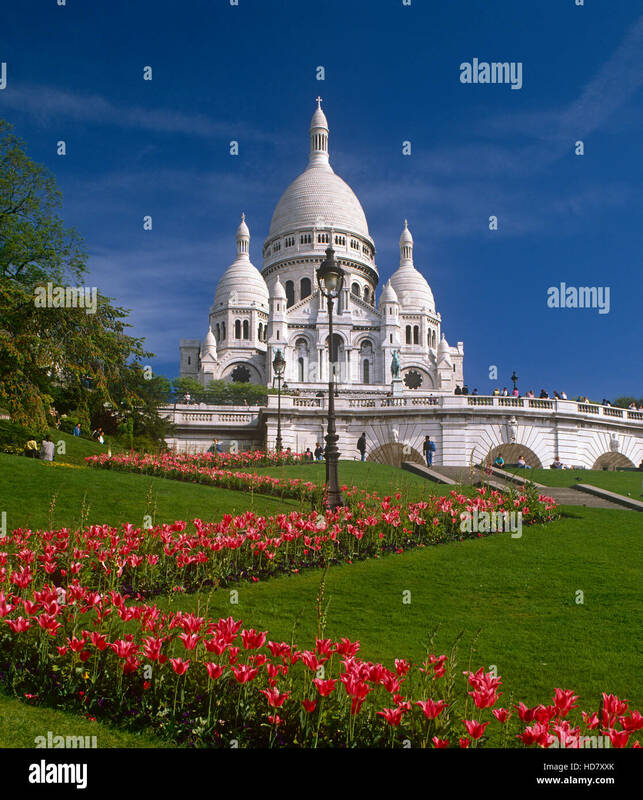 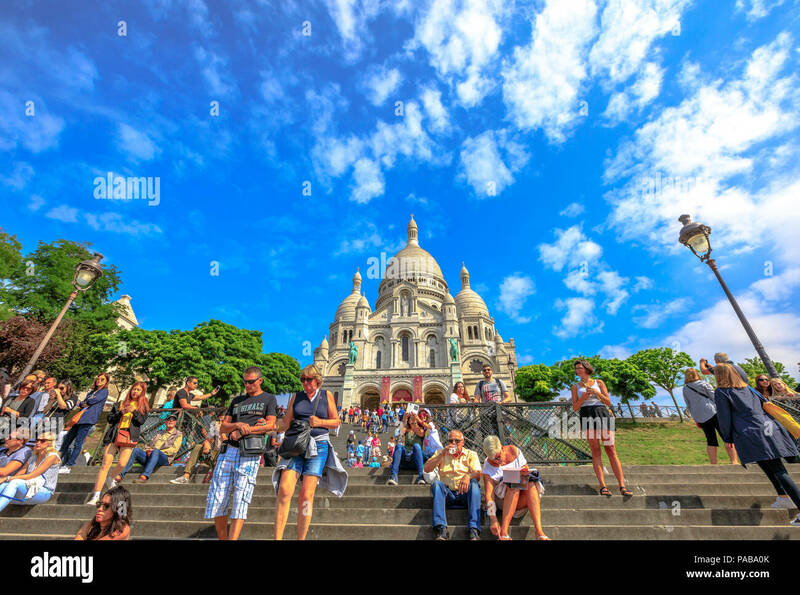 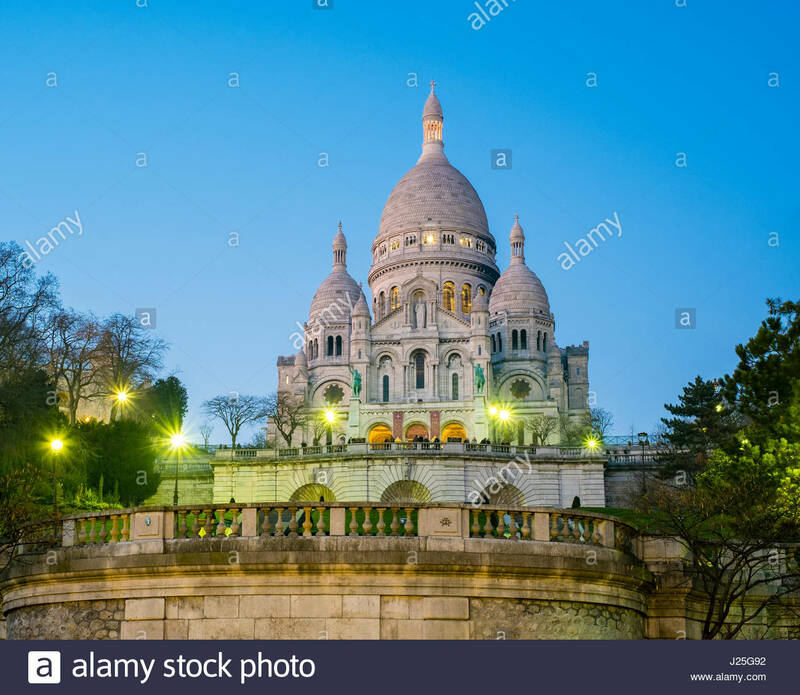 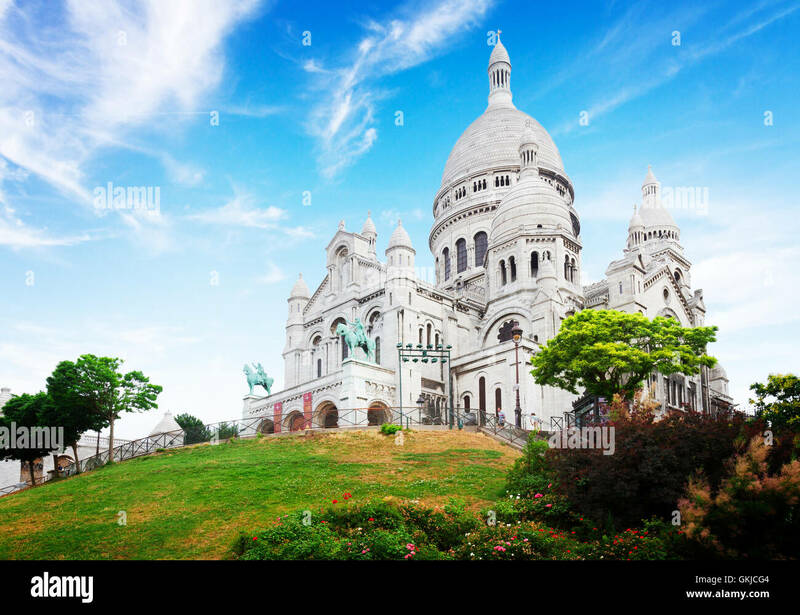 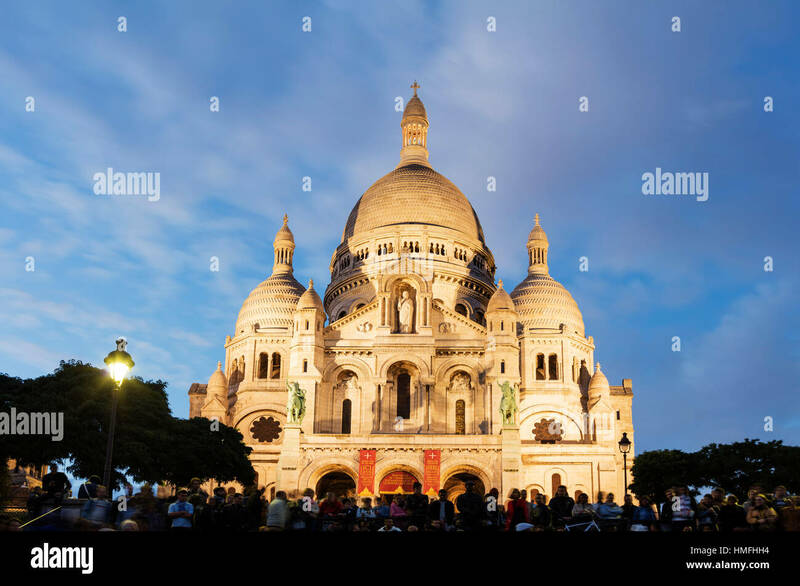 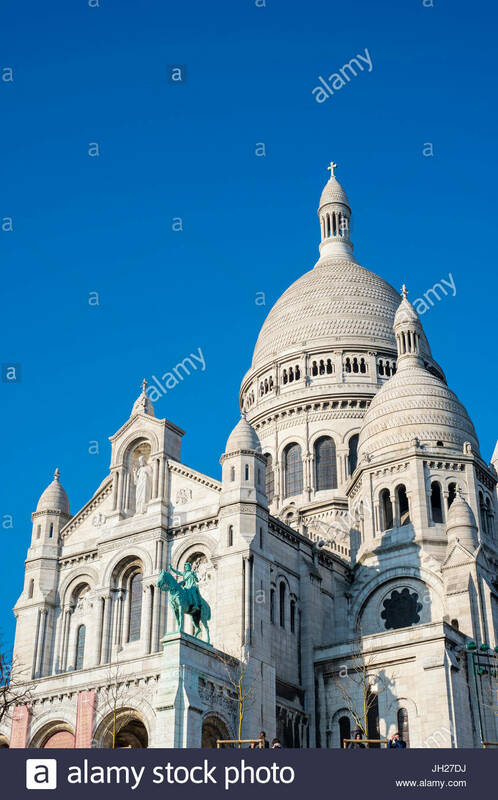 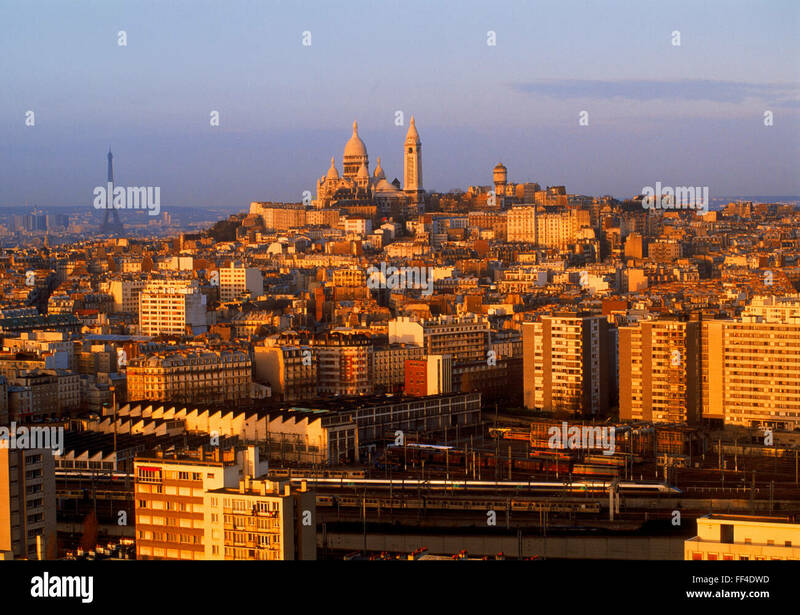 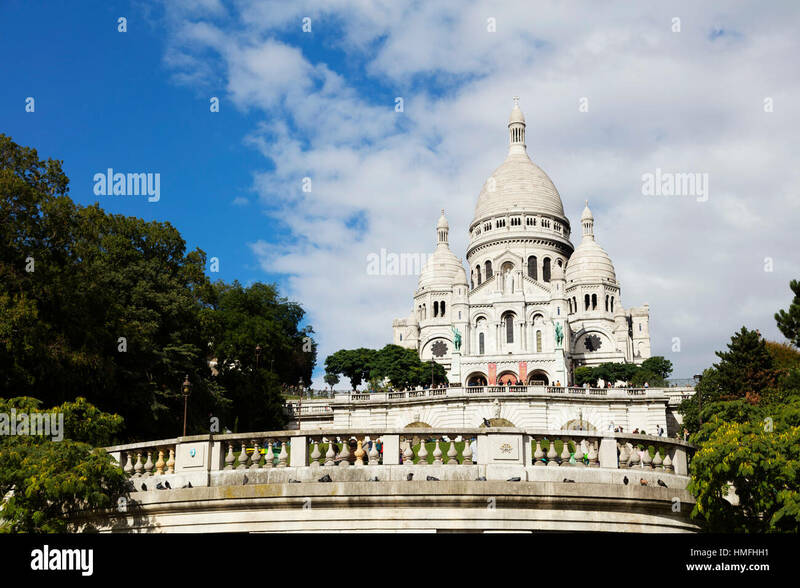 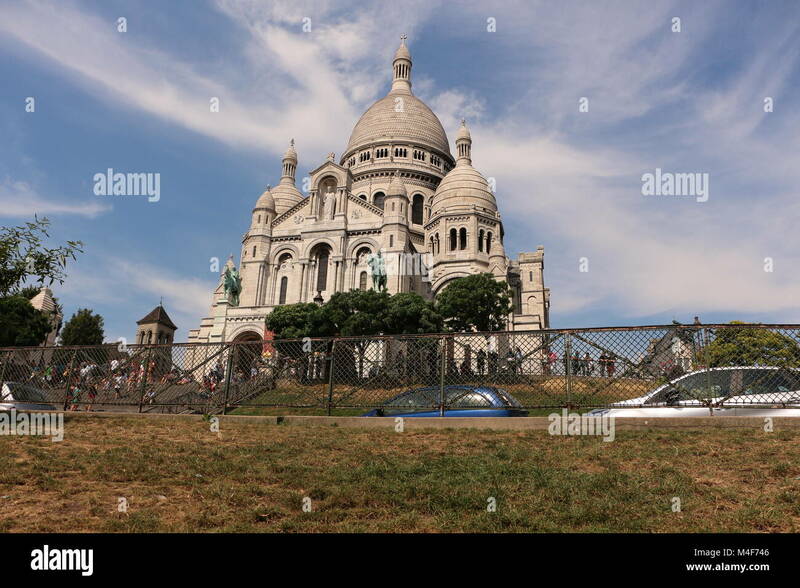 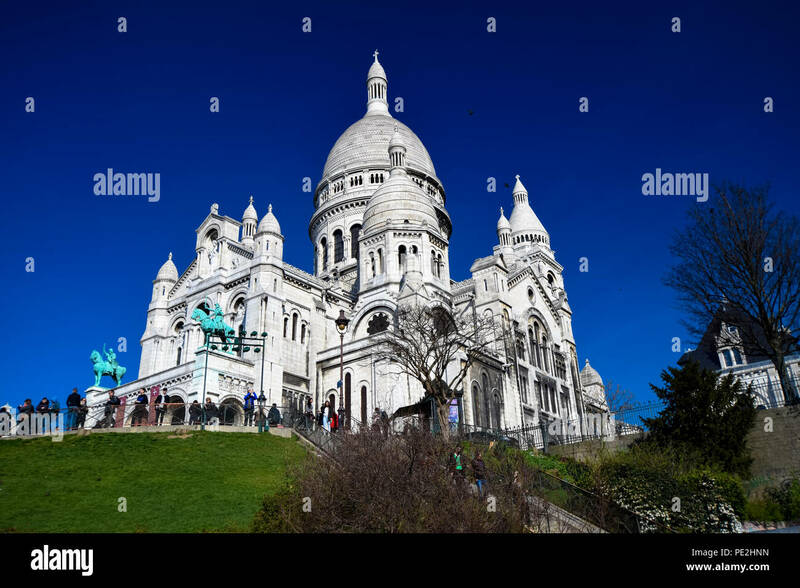 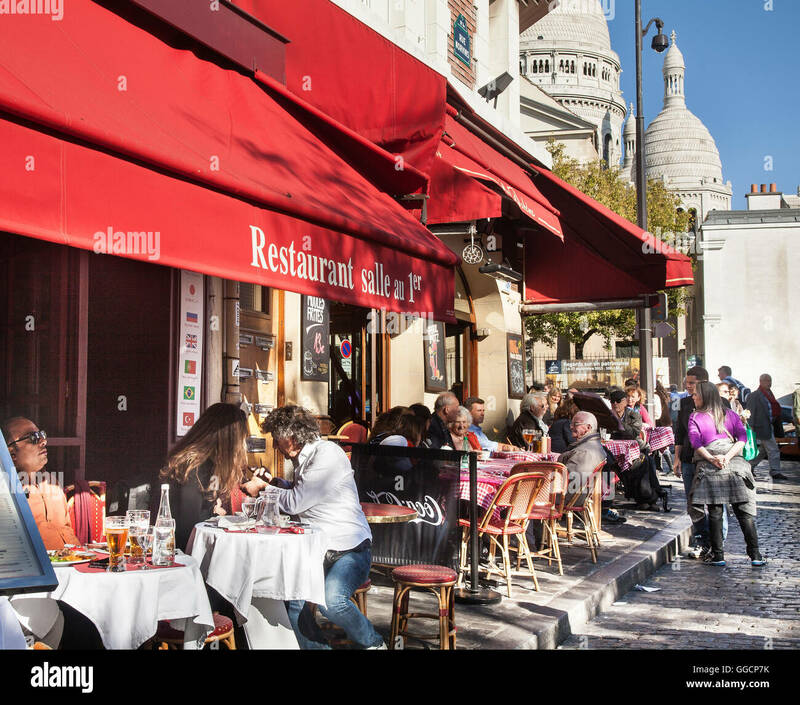 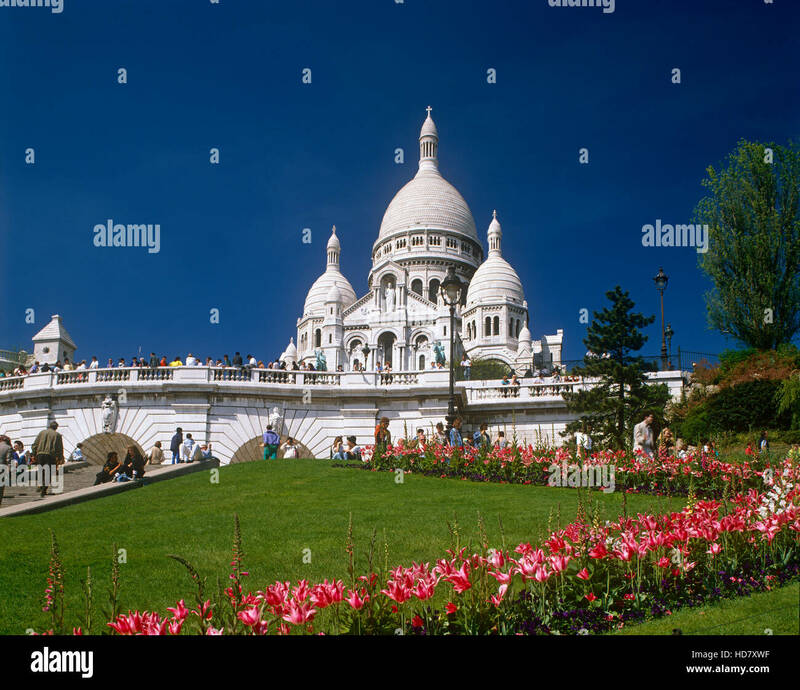 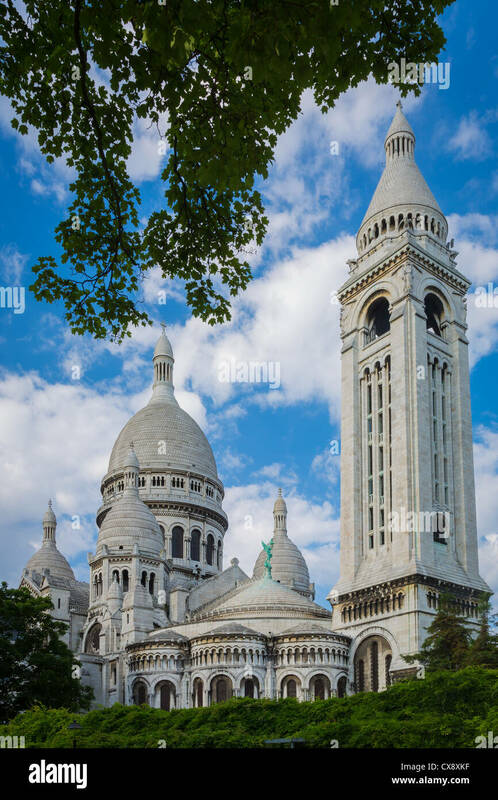 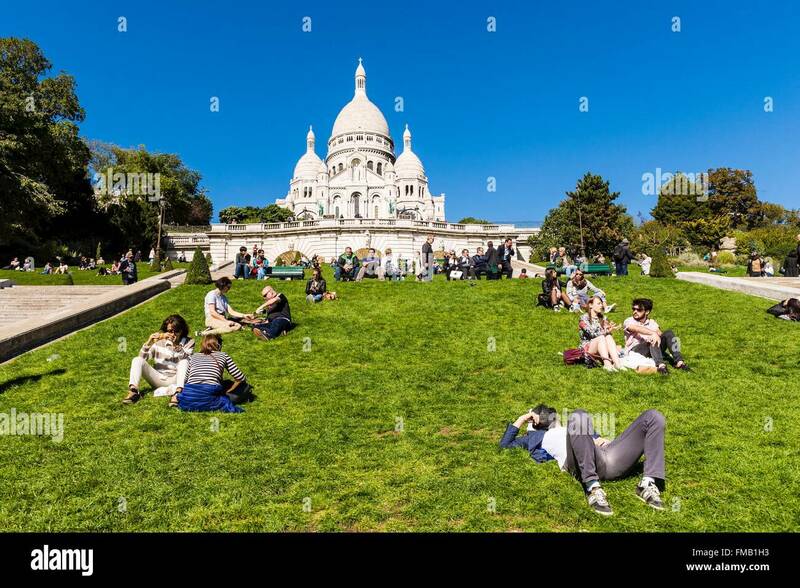 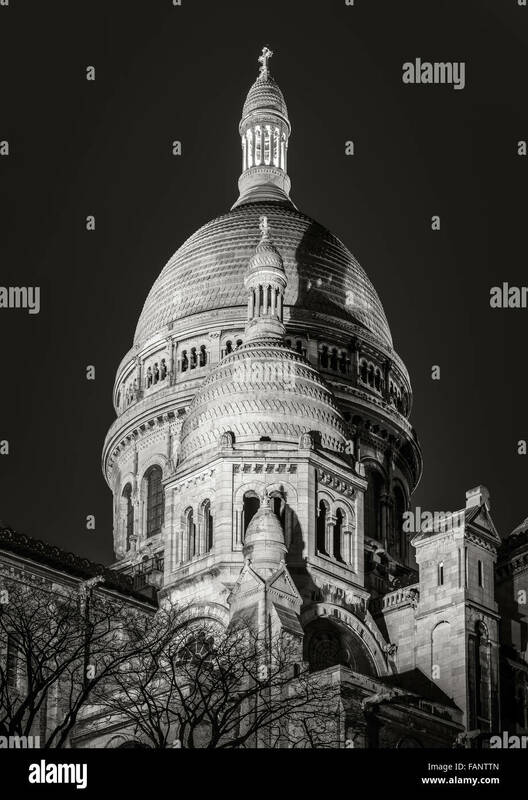 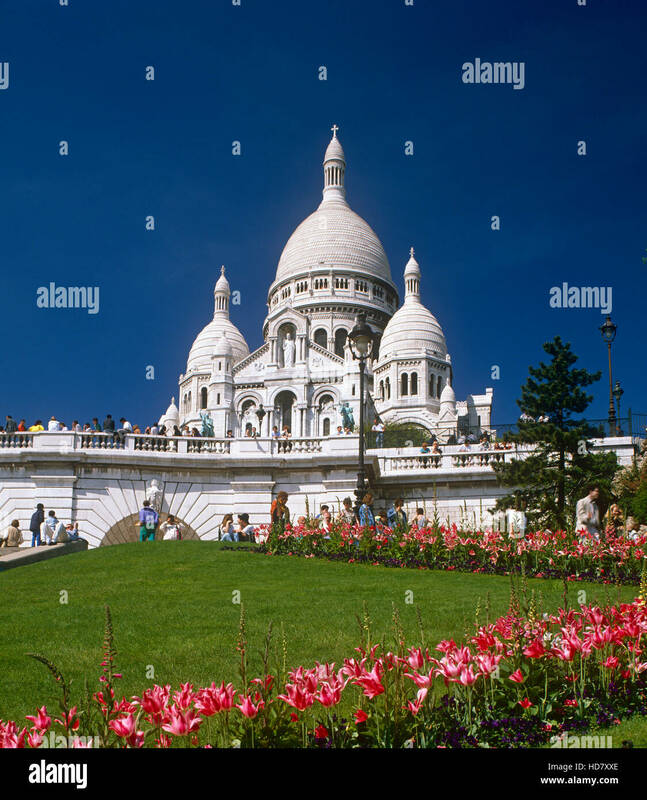 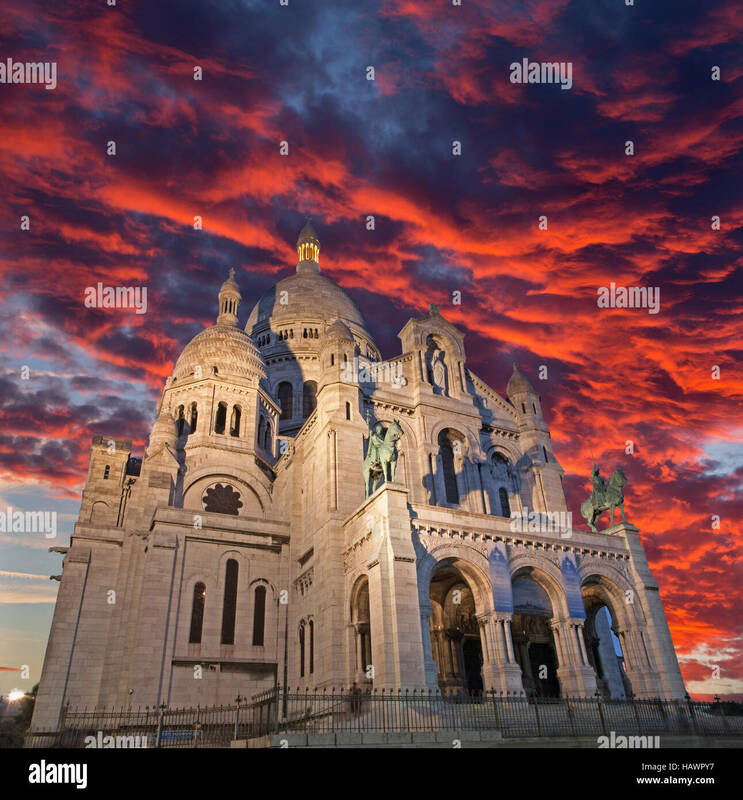 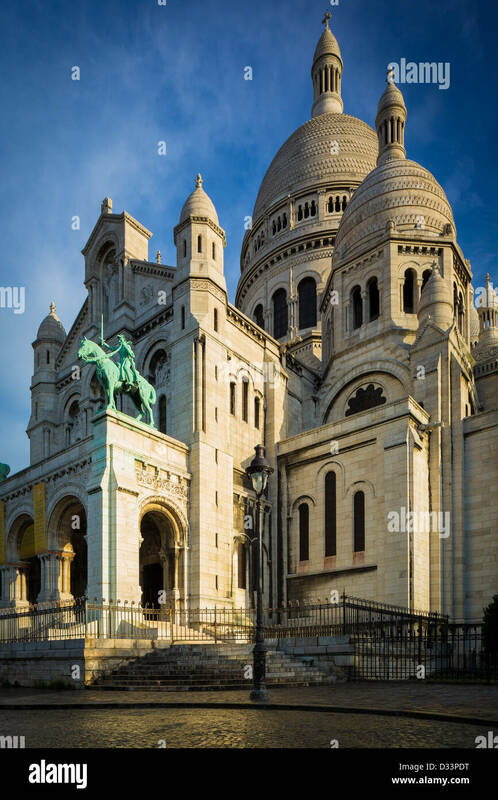 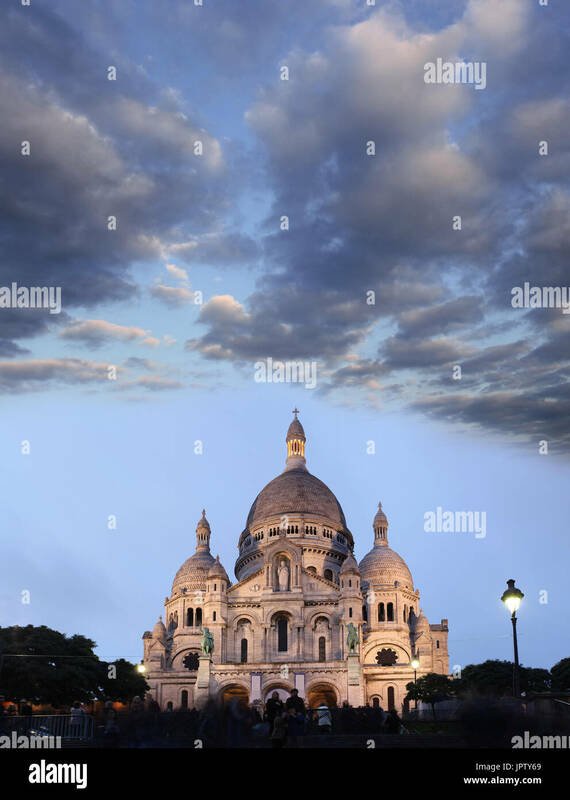 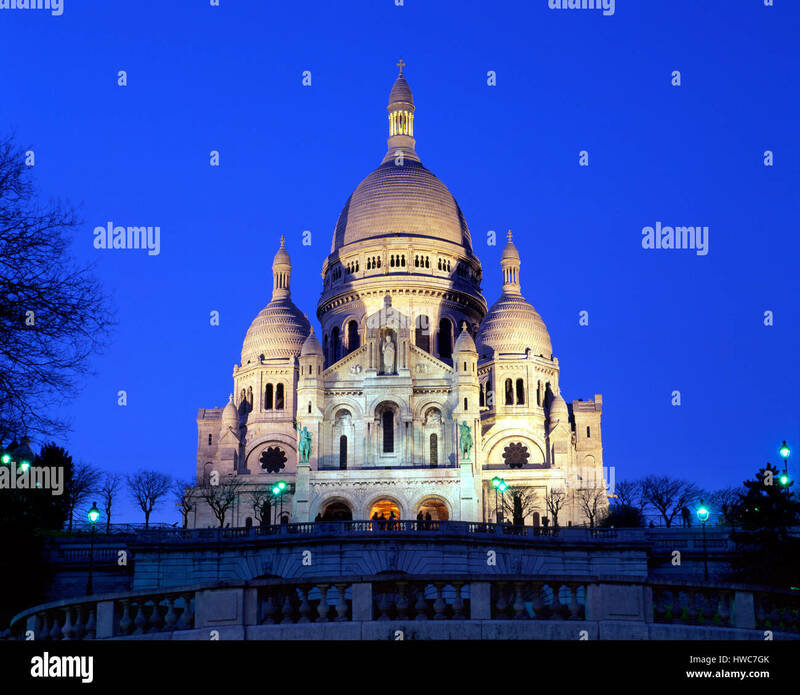 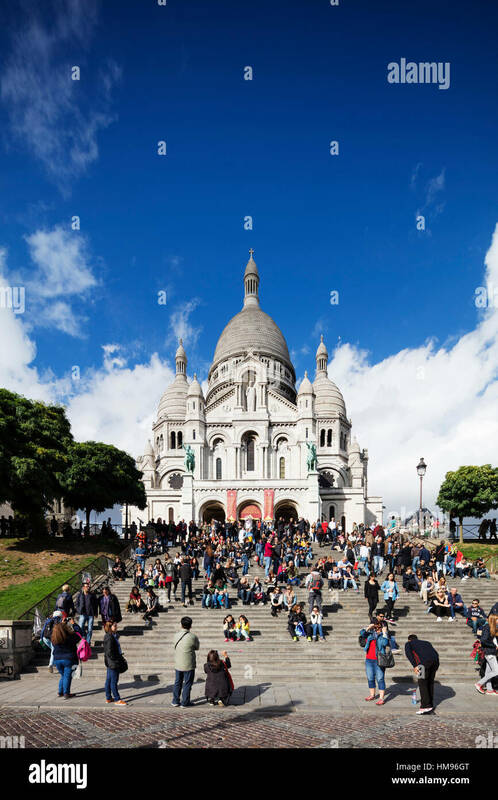 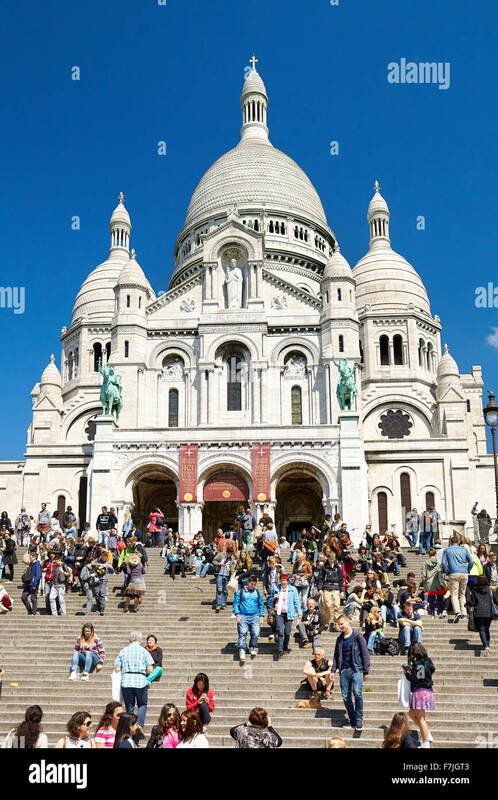 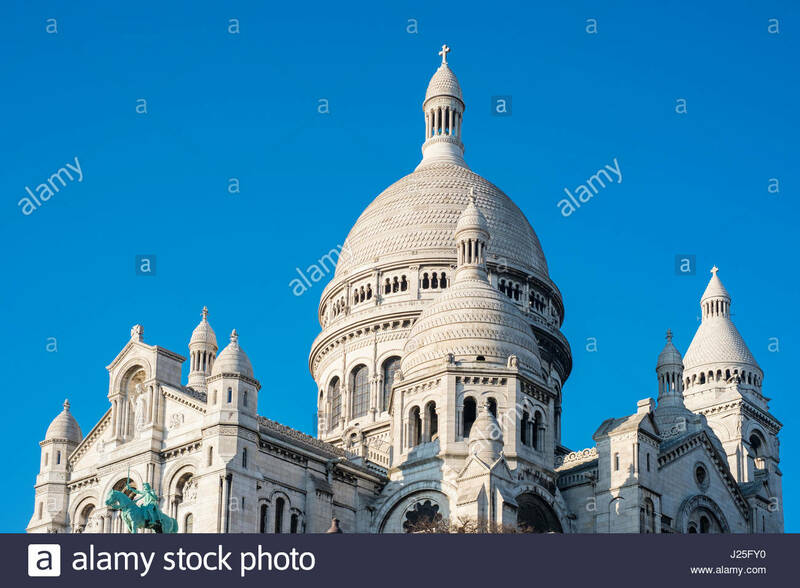 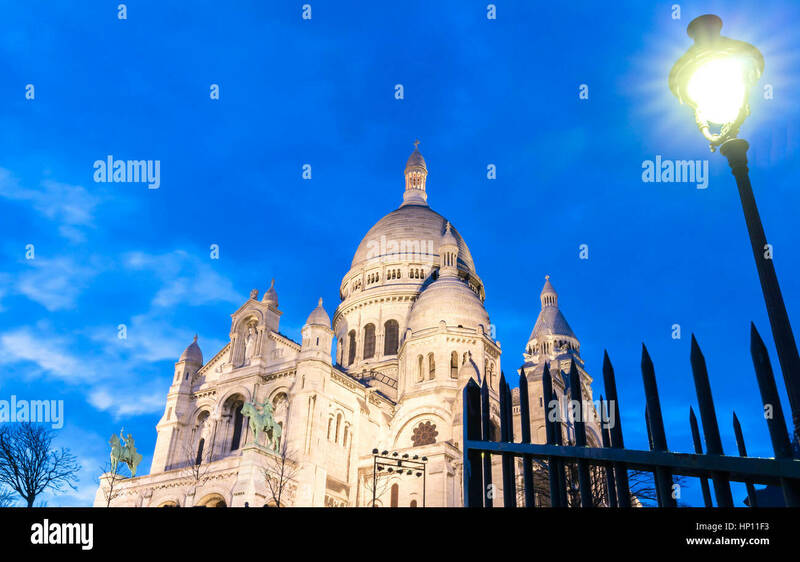 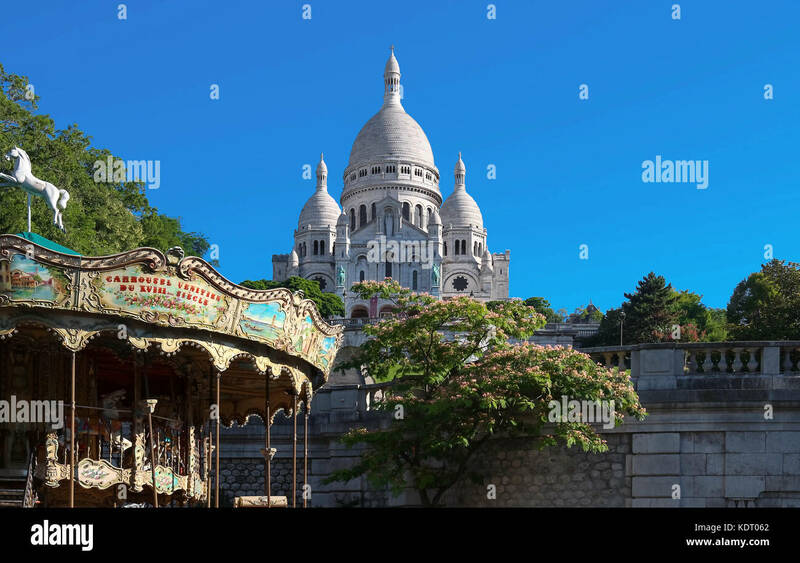 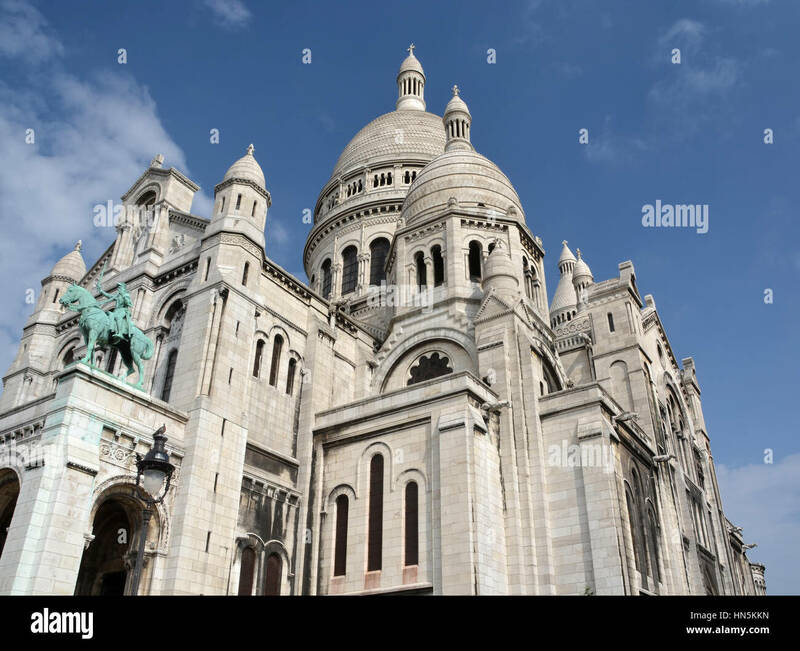 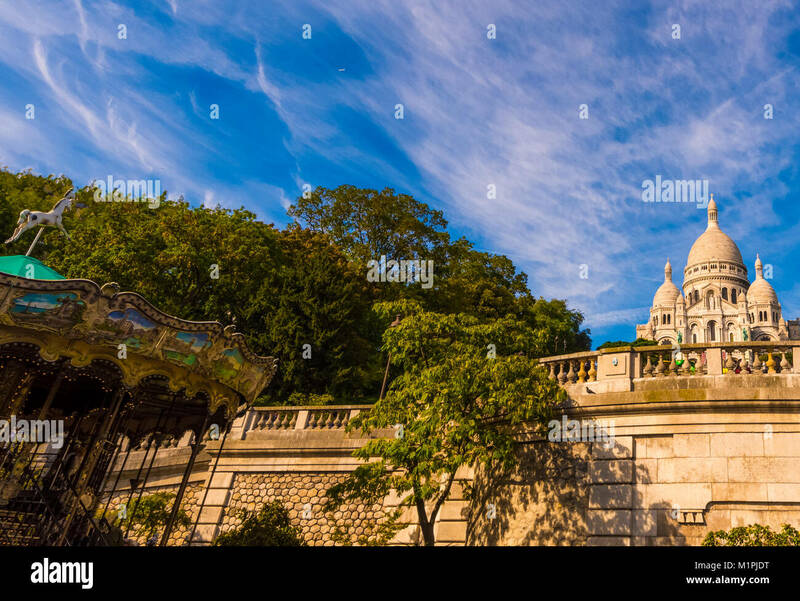 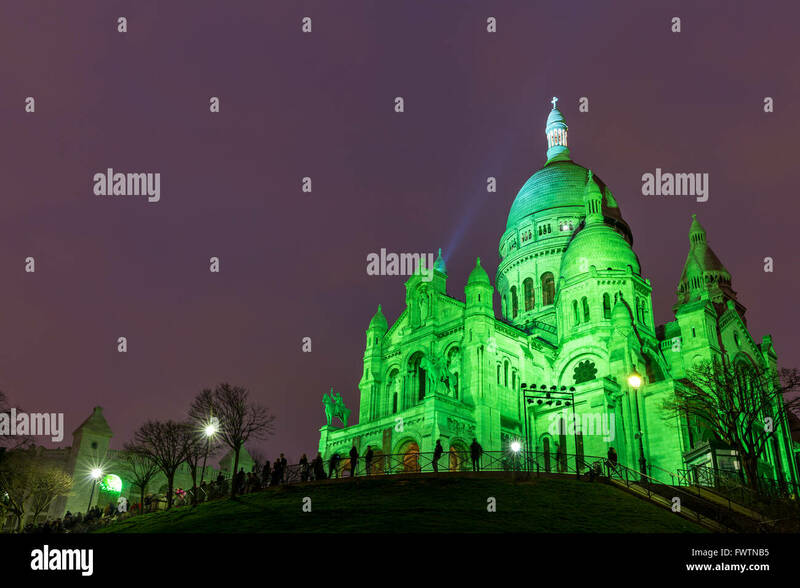 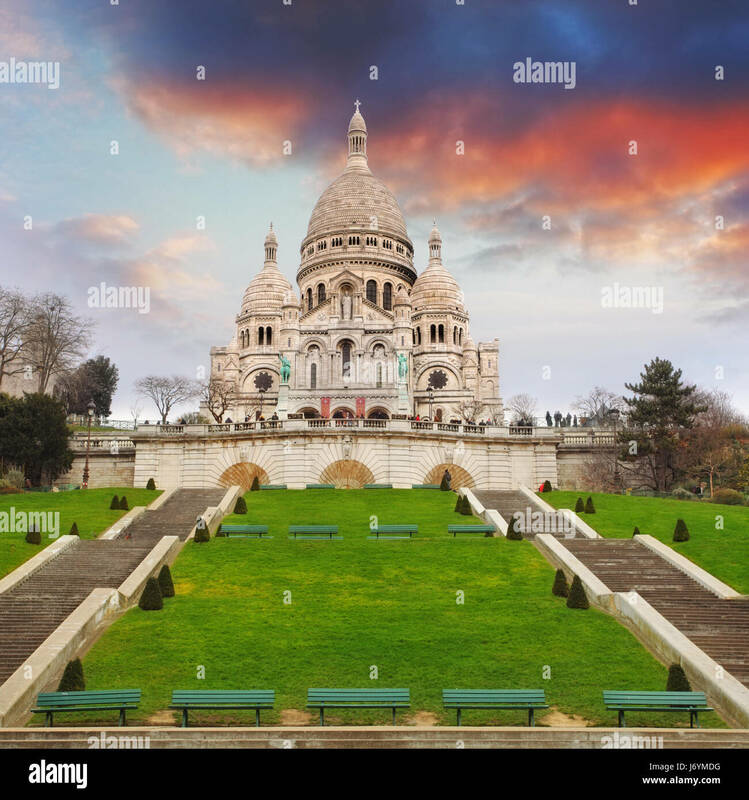 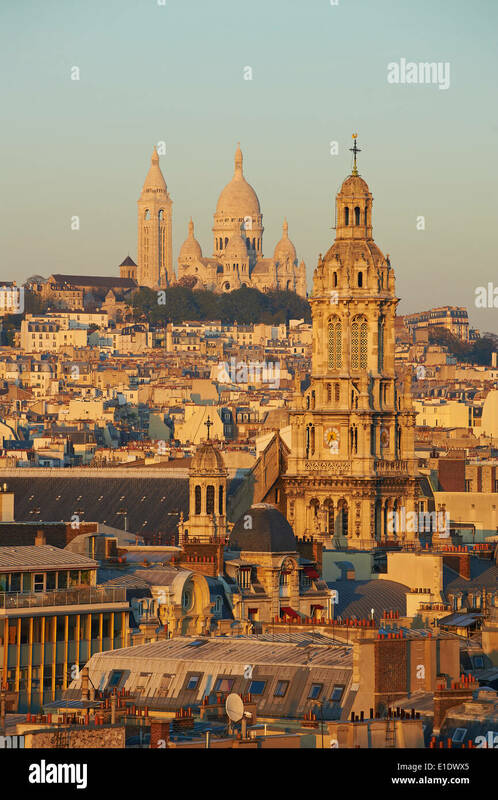 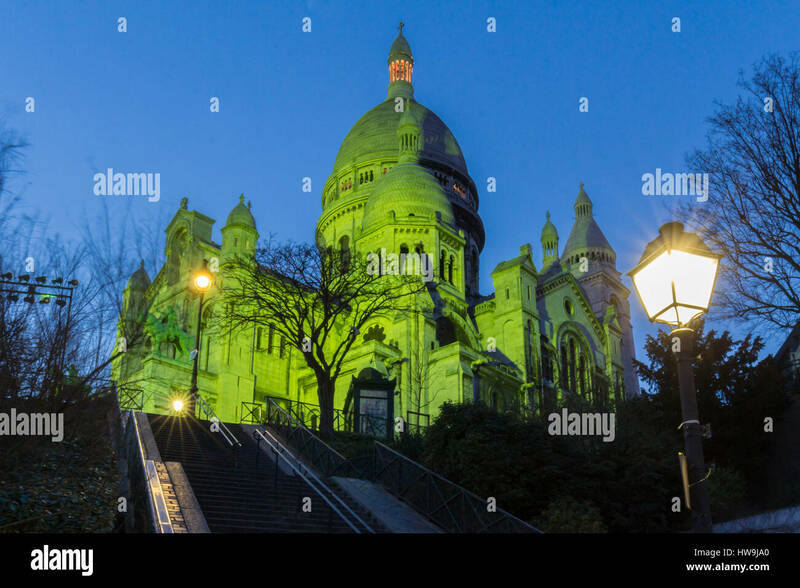 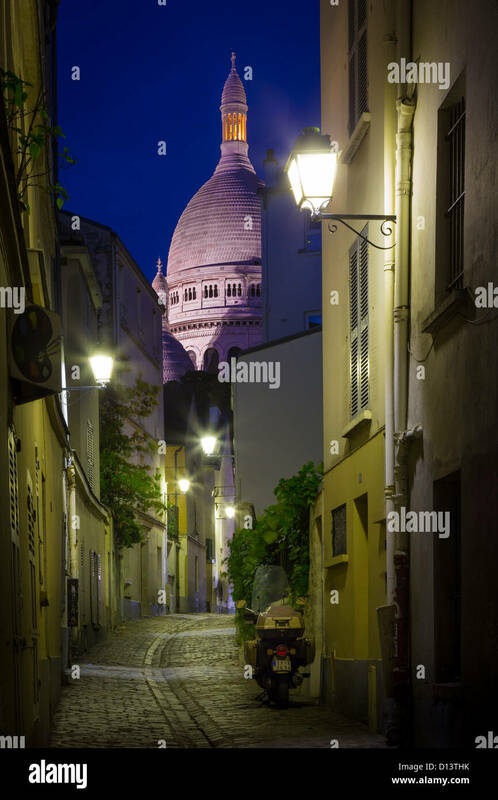 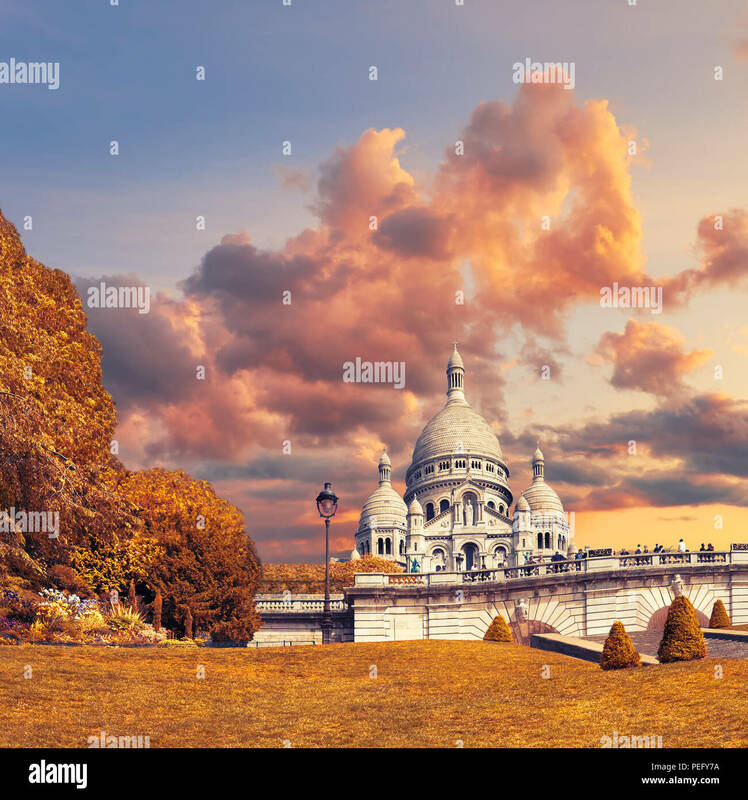 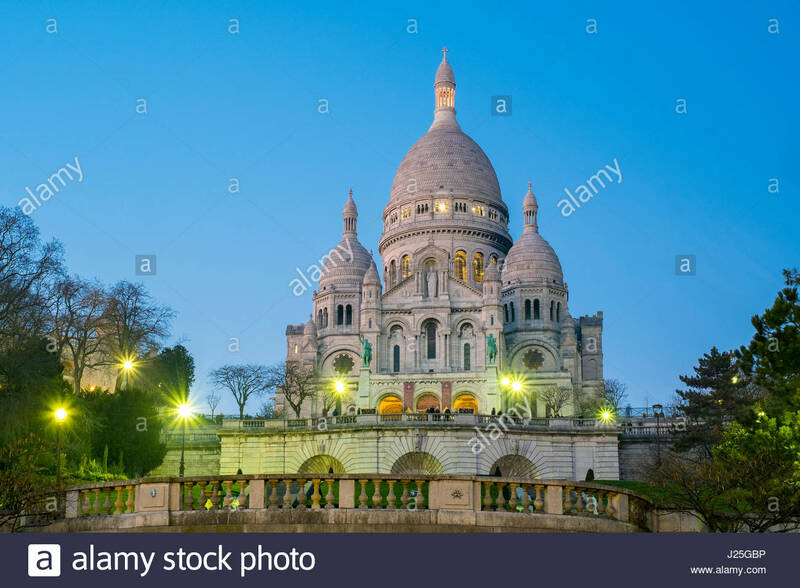 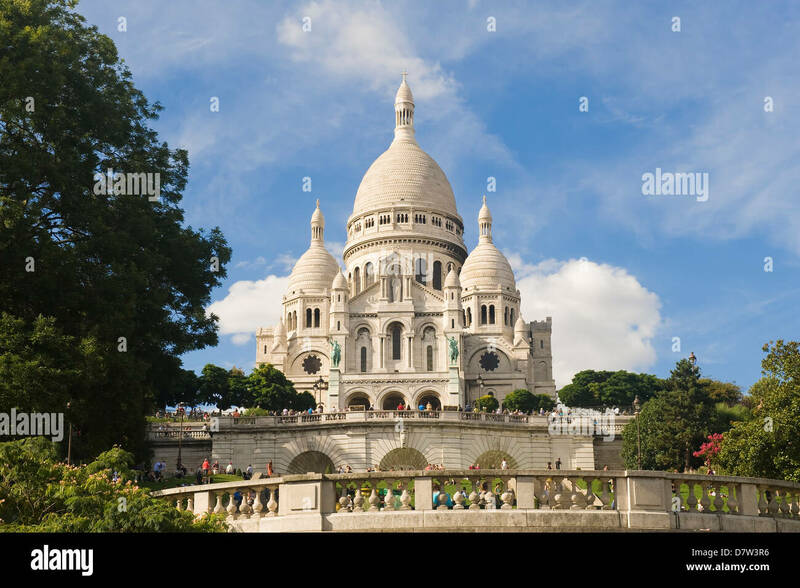 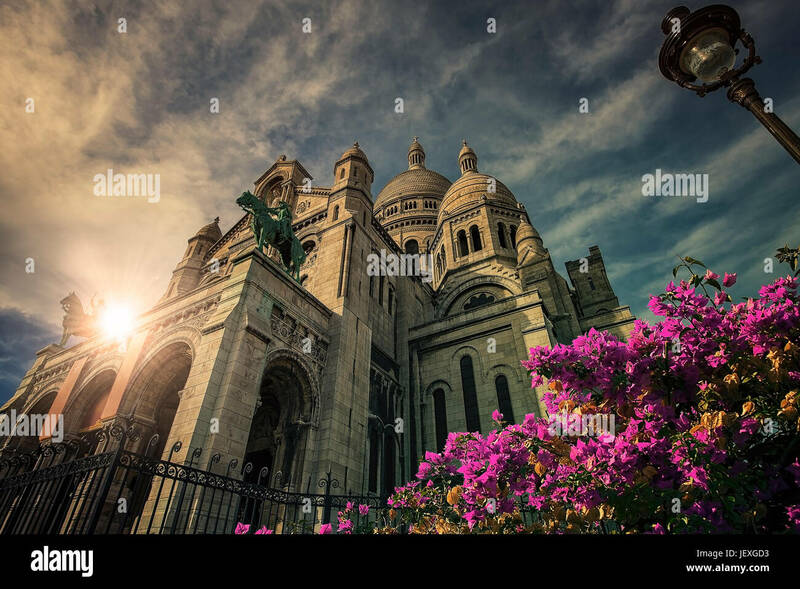 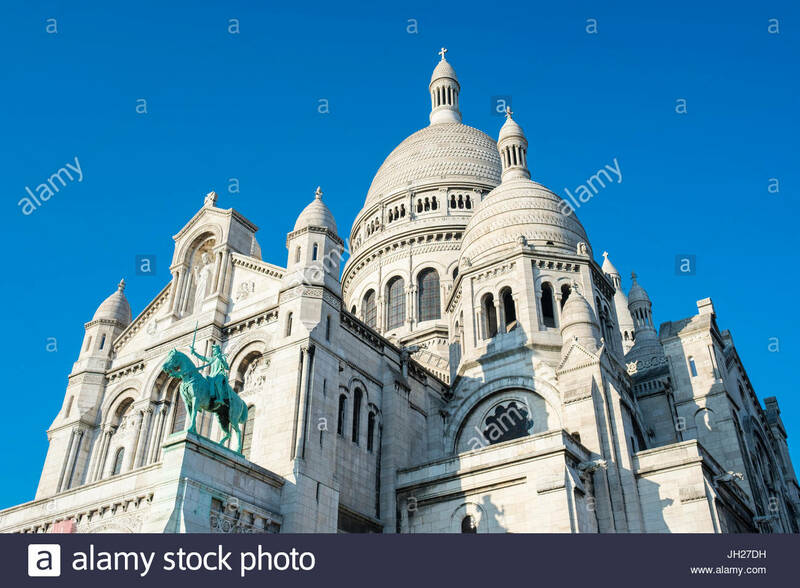 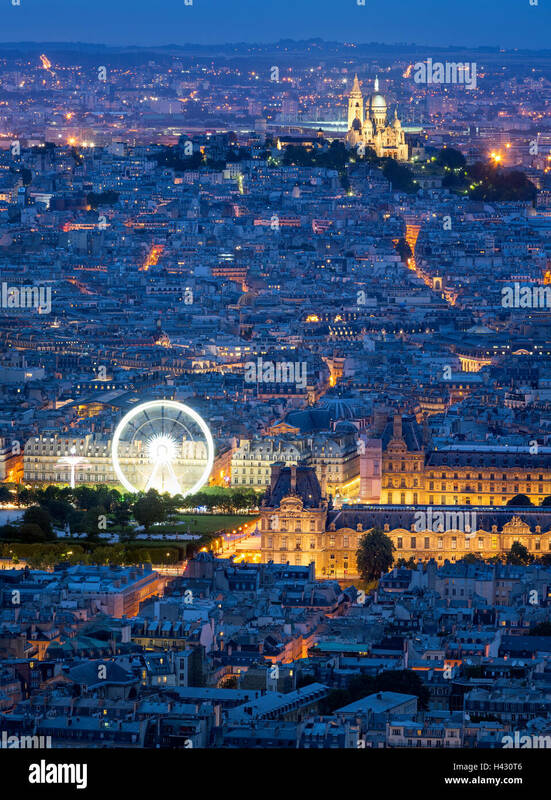 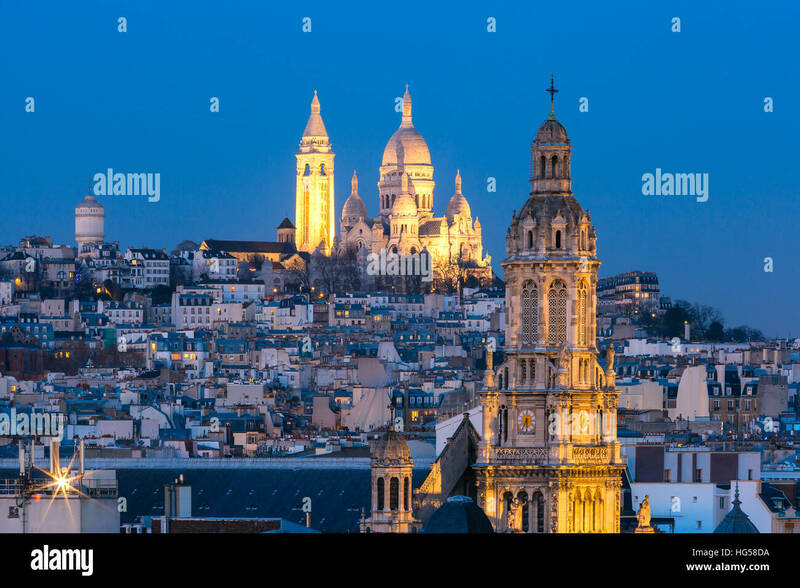 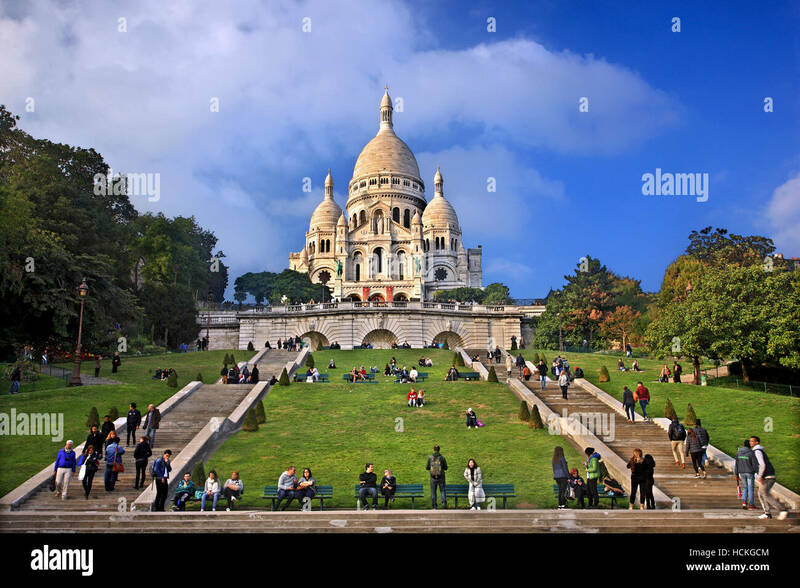 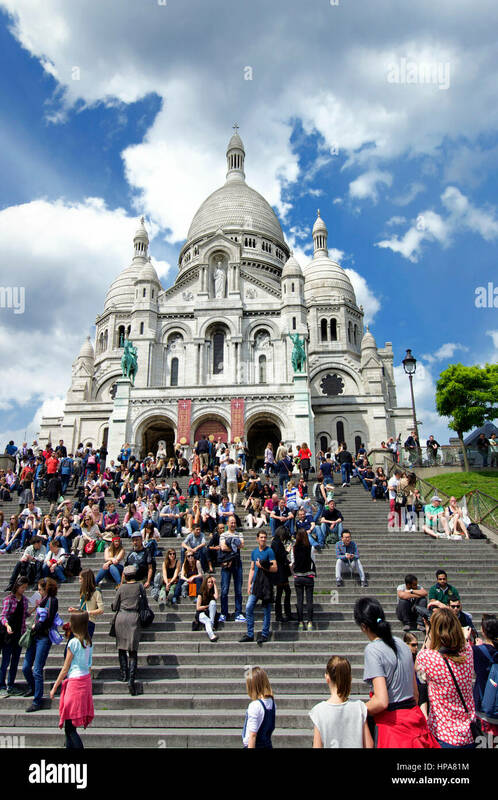 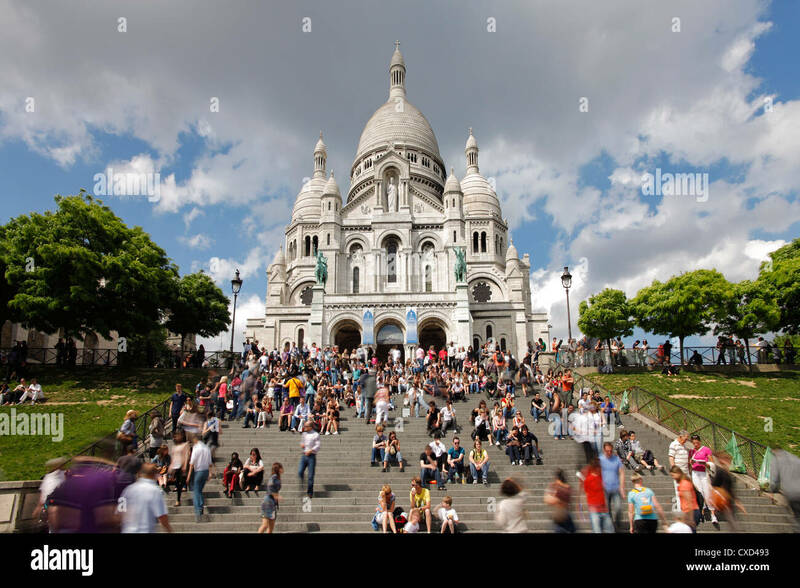 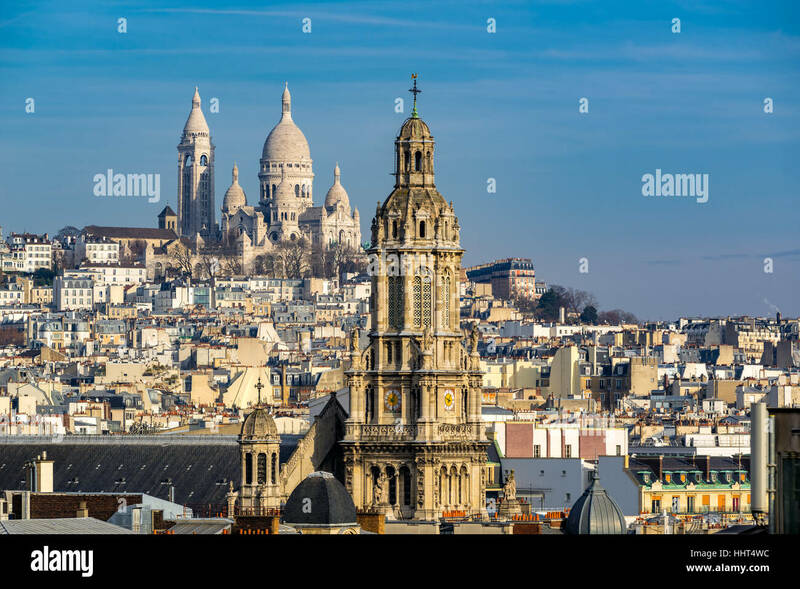 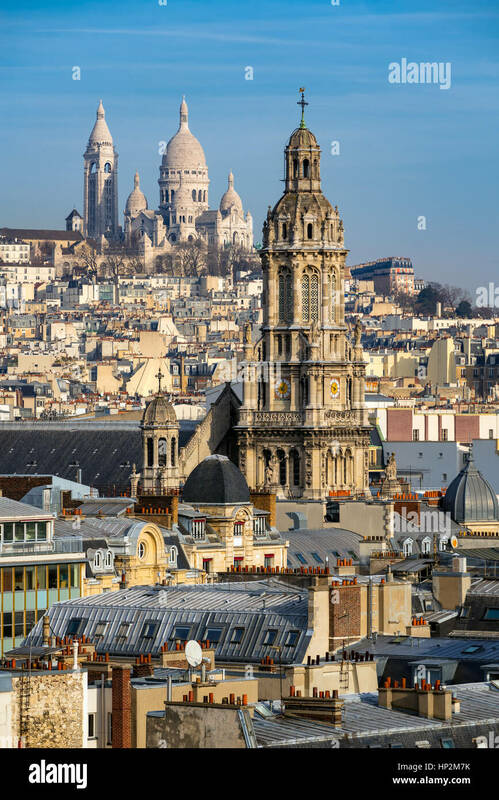 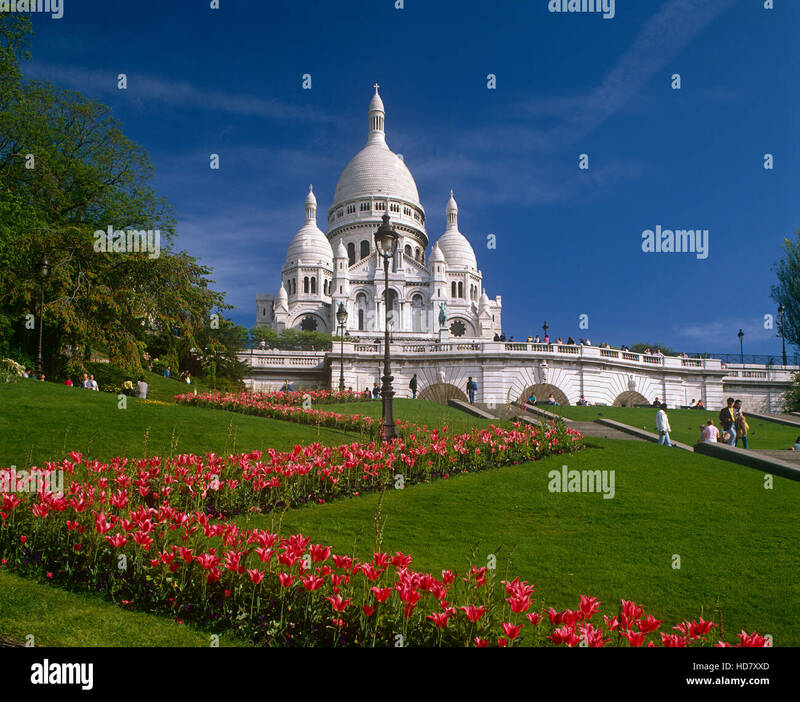 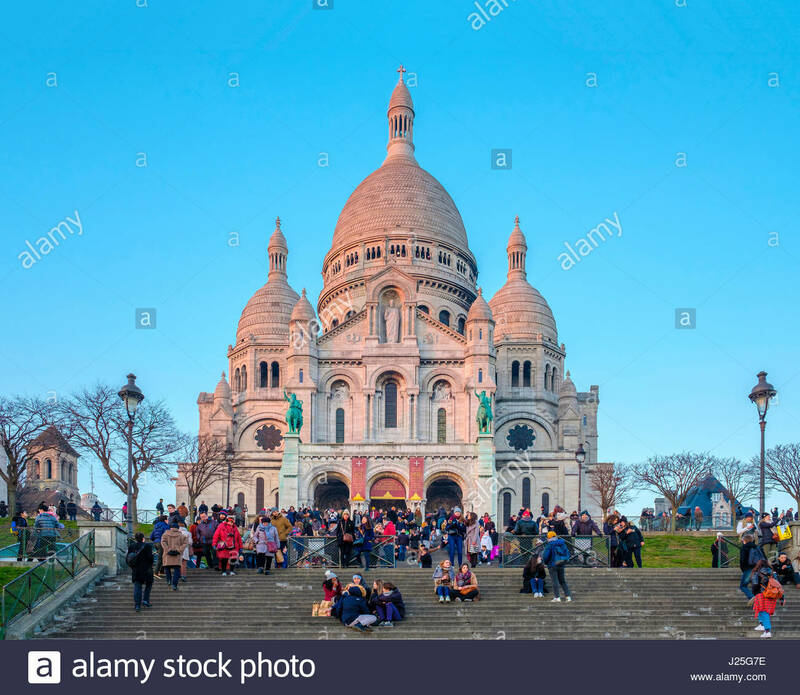 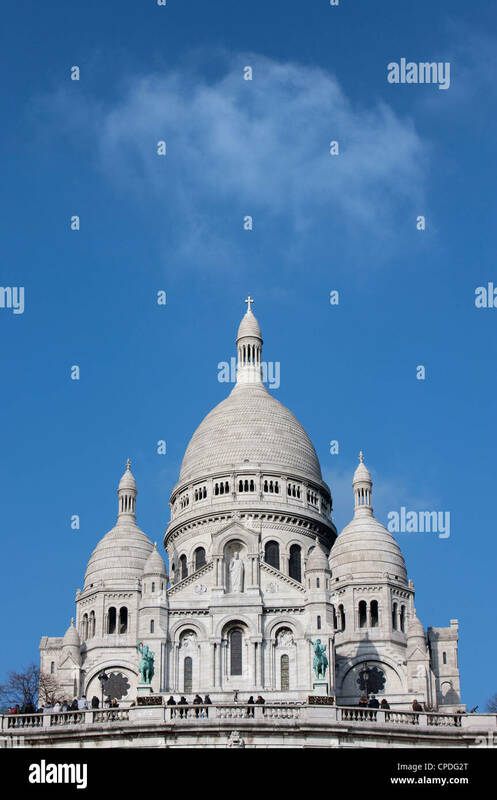 Paris, France - July 3, 2017: many people on the stairs of Basilica of Sacre Coeur de Montmartre in Paris in a sunny day with blue sky. 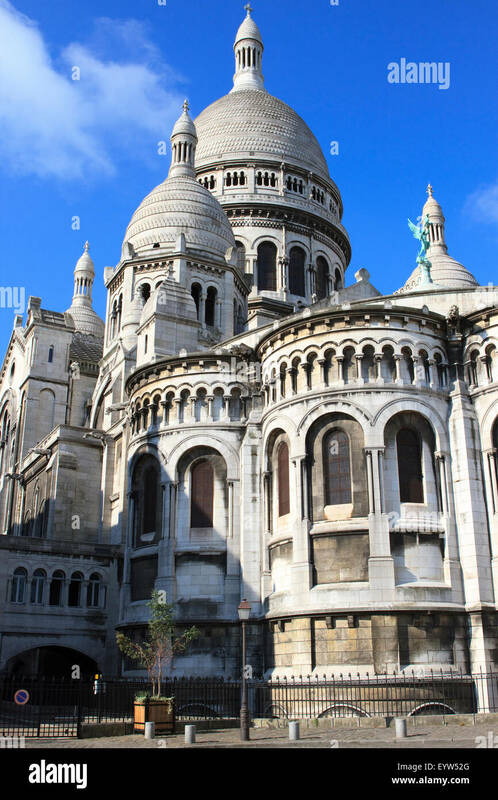 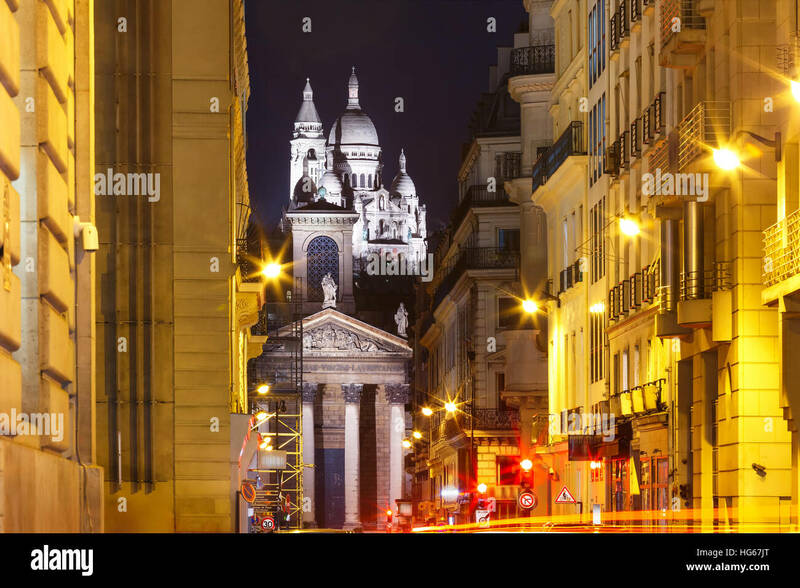 Sacred Heart Church is a popular tourist landmark. 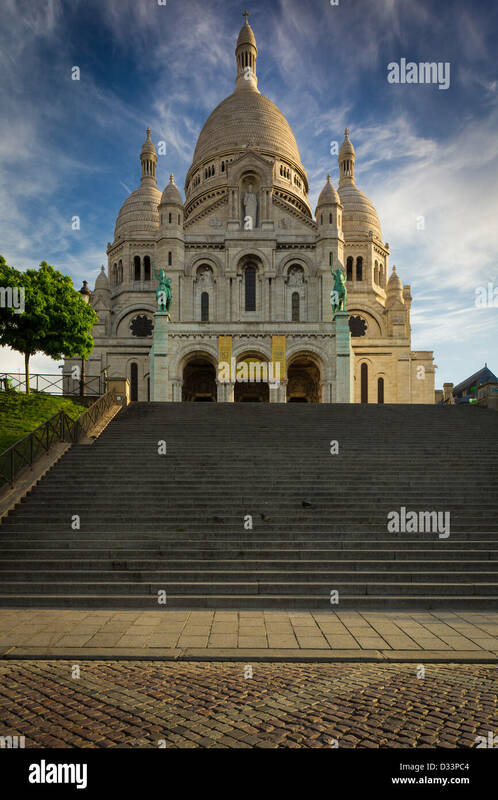 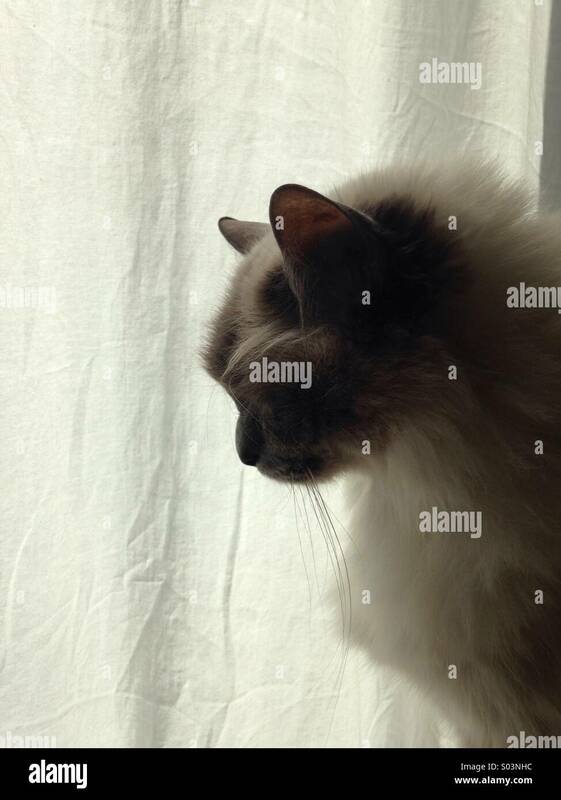 Bottom view.